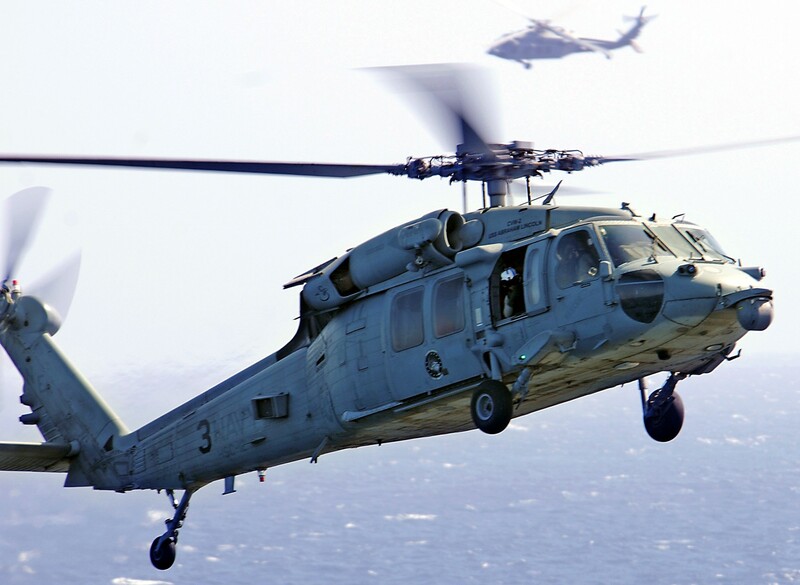 Helicopter Sea Combat Squadron TWELVE (HSC-12) was established on 7 March 1952 as Helicopter Anti-Submarine Squadron TWO (HS-2) in San Diego flying the HRS-2 making HSC-12 the oldest rotary wing squadron in the U.S. Navy. 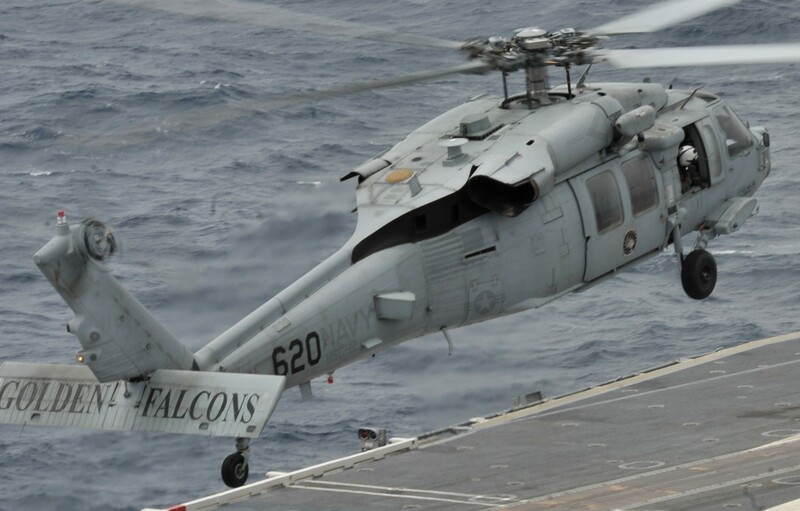 Initially used in small detachments, the first deployment as an entire squadron occurred in 1957 when the world famous "Golden Falcons," now flying the HSS-1, embarked aboard the aircraft carrier USS PHILIPPINE SEA (CVA-47). 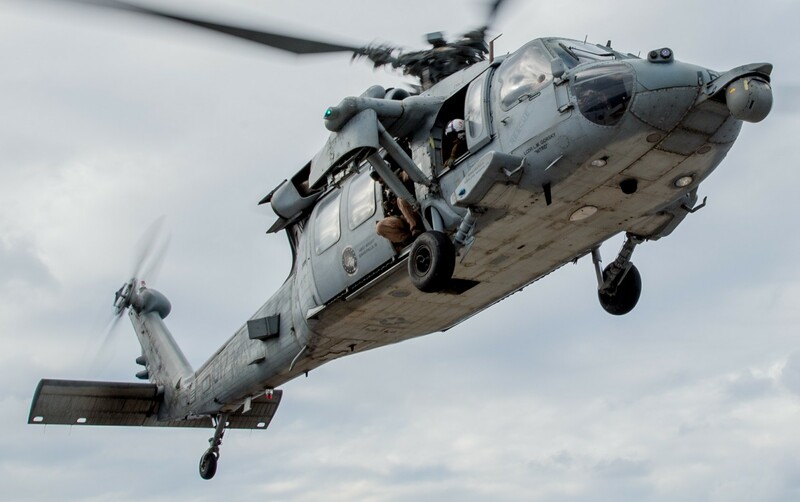 At this time, the squadron consisted of 258 enlisted and 39 officers to fly and maintain 17 aircraft. 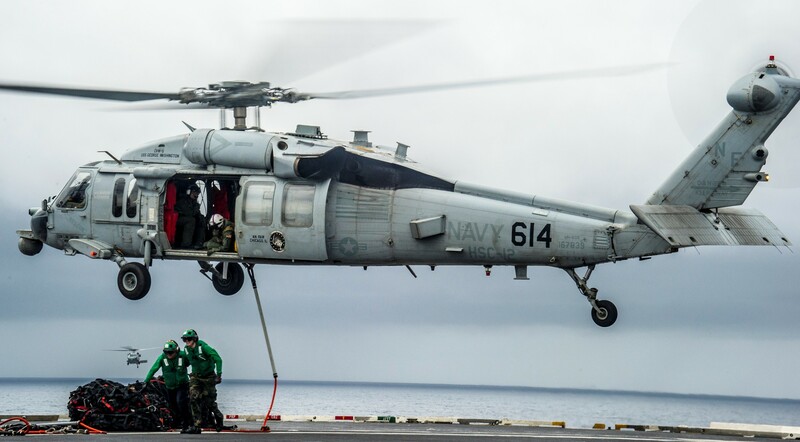 Since that time, the squadron has deployed on 10 other carriers including USS YORKTOWN (CVS-10), USS HORNET (CVA-12), USS INDEPENDENCE (CVA-62), USS TICONDEROGA (CVS-14), USS ENTERPRISE (CVN-65), USS RANGER (CV-61), USS KITTY HAWK (CV-63), USS NIMITZ (CVN-68), USS CONSTELLATION (CV-64), and the USS ABRAHAM LINCOLN (CVN-72). 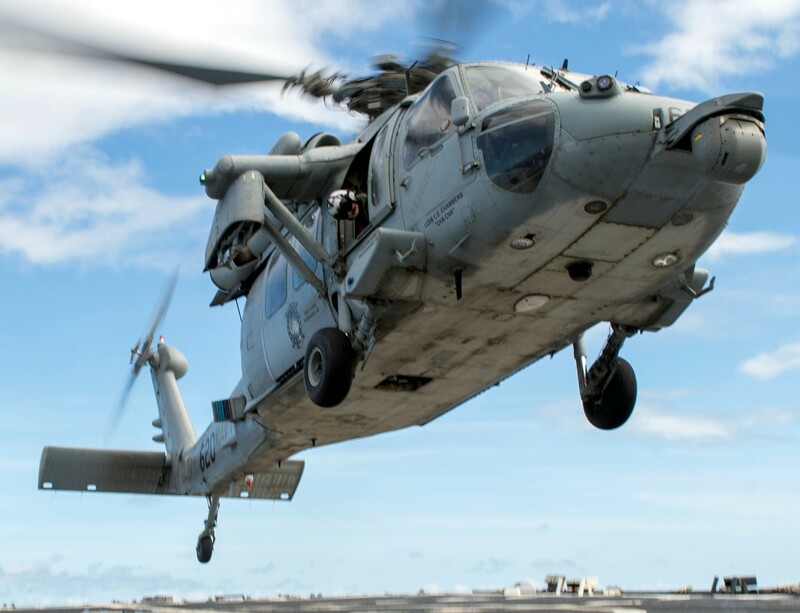 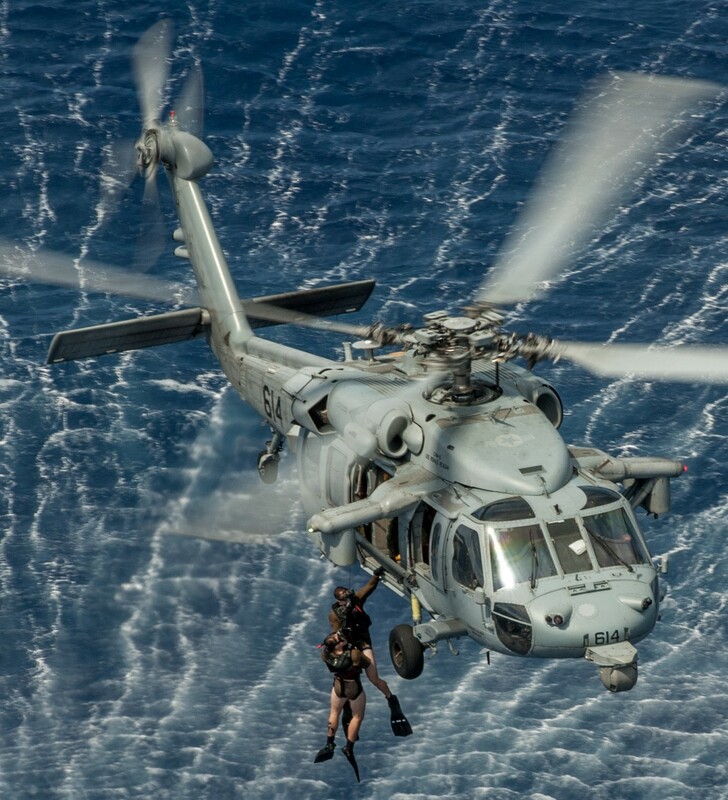 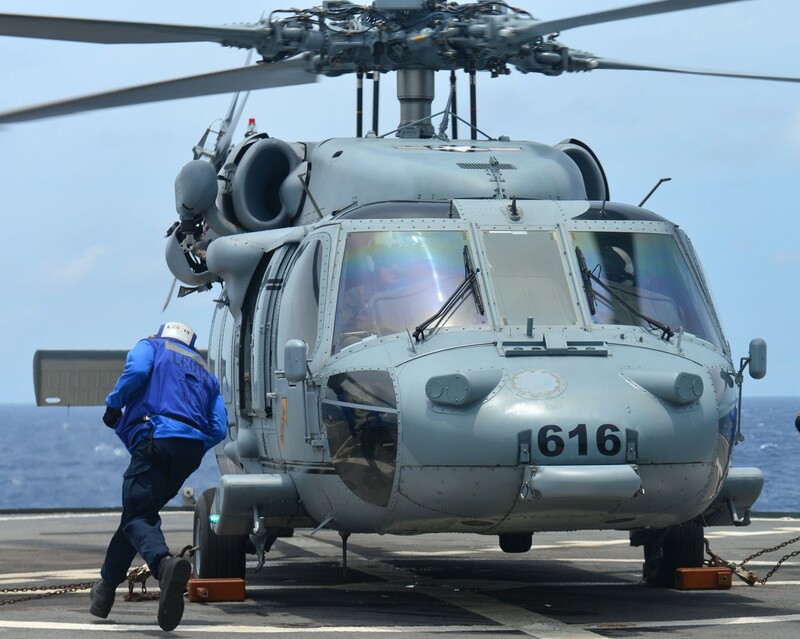 Today, HSC-12 deploys as a member of Carrier Air Wing TWO (CVW-2) aboard USS ABRAHAM LINCOLN with 220 enlisted, 35 officers, and 8 Sikorsky MH-60S helicopters. 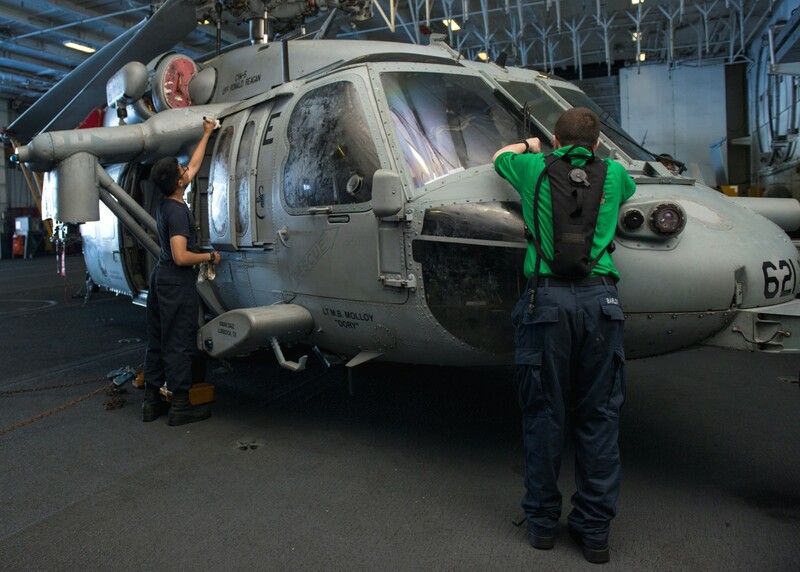 In addition to being the first HS squadron on the West Coast, the squadron boasts a long list of first and unique achievements that attest to the professional caliber and dedication of its officers and sailors. 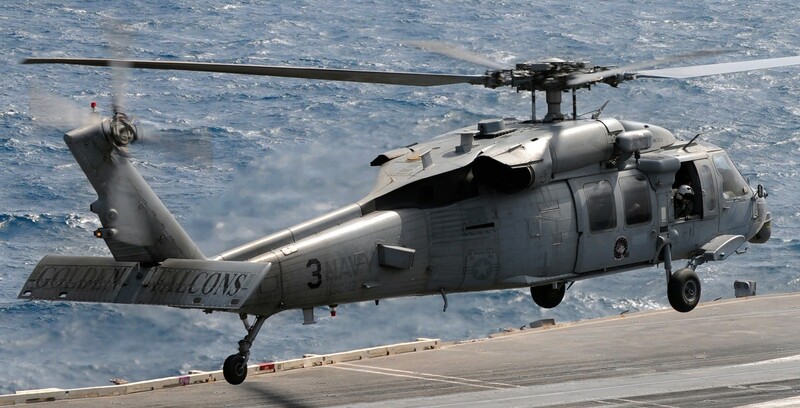 HS-2 was the first ASW (Anti-Submarine Warfare) helicopter squadron to deploy with the Sikorsky SH-3A Sea King, the Navy's first turbine powered all-weather ASW helicopter. 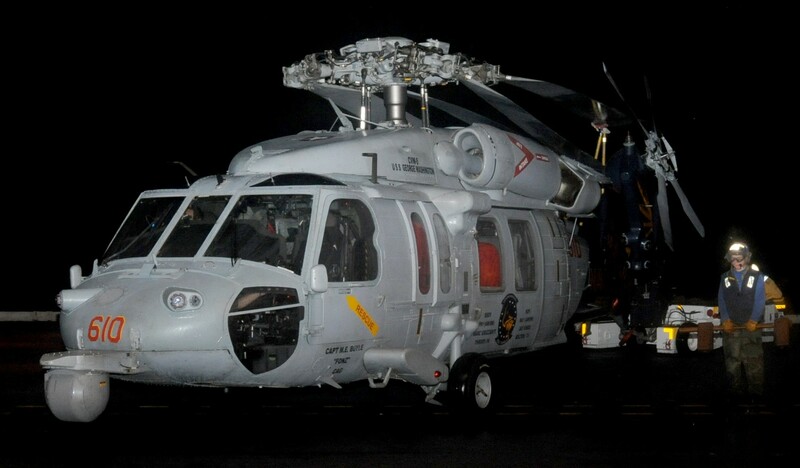 HS-2 was also the first SH-3 squadron to operationally employ Helicopter In-flight Refueling (HIFR) at night. 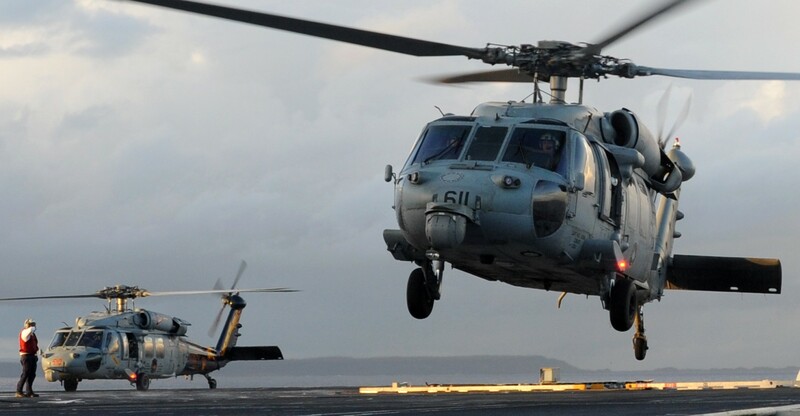 In November 1965, an HS-2 helicopter recorded the longest operational flight at the time. 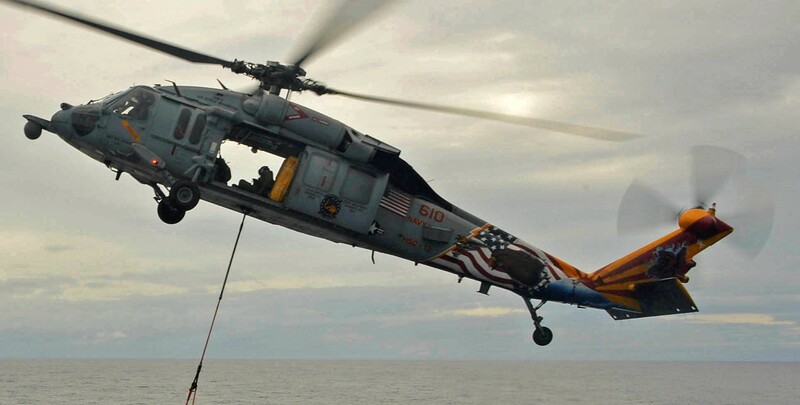 The aircraft remained airborne for 11 hours and 18 minutes on a search and rescue mission in the Gulf of Tonkin with the help of four HIFR's, three of which were at night. 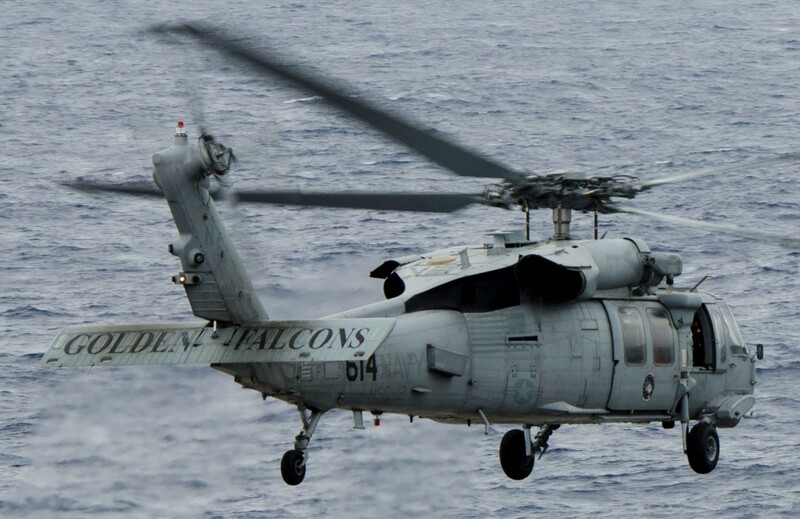 Other technical innovations by "Golden Falcons" include the pioneering of submarine detection capabilities with the introduction of the SH-3D in 1974 as a multi-sensor ASW platform. 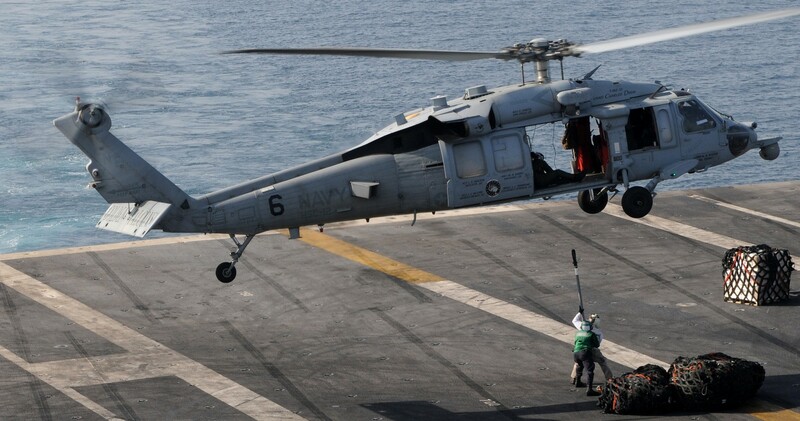 In addition to the Bendix AQS-13B sonar, Magnetic Anomaly Detector (MAD), and Multi-Channel Jezebel Relay (MCJR), active sonobuoy systems were added to the aircraft, the latter providing the carrier with sonobuoy monitoring capability. 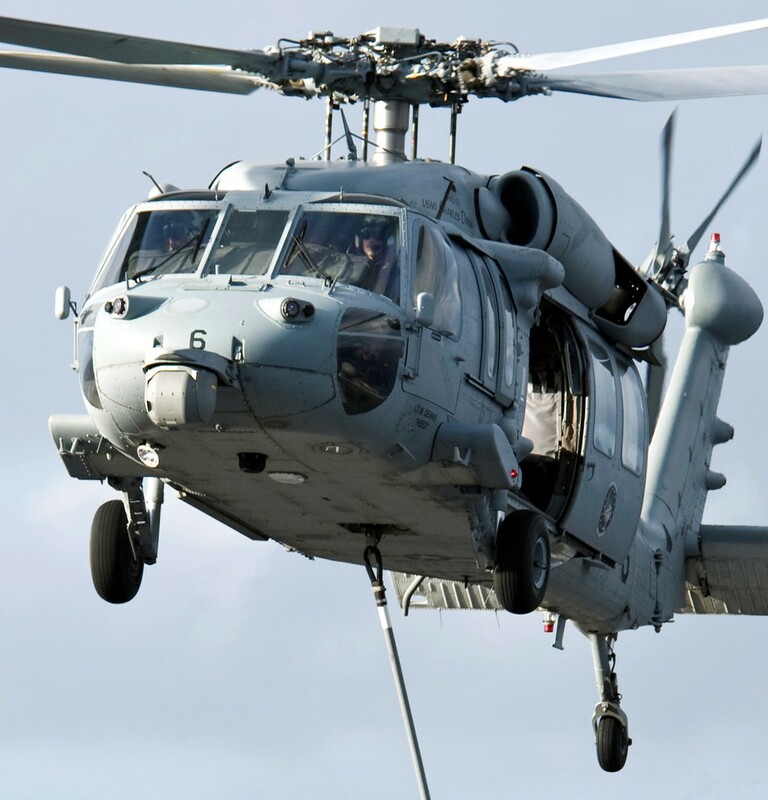 In 1980 the squadron became the first West Coast unit to deploy with new tactical navigation (TACNAV) equipped SH-3D/H helicopters. 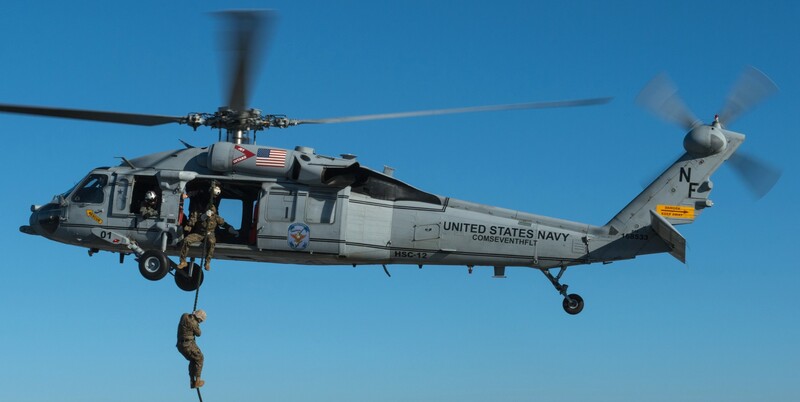 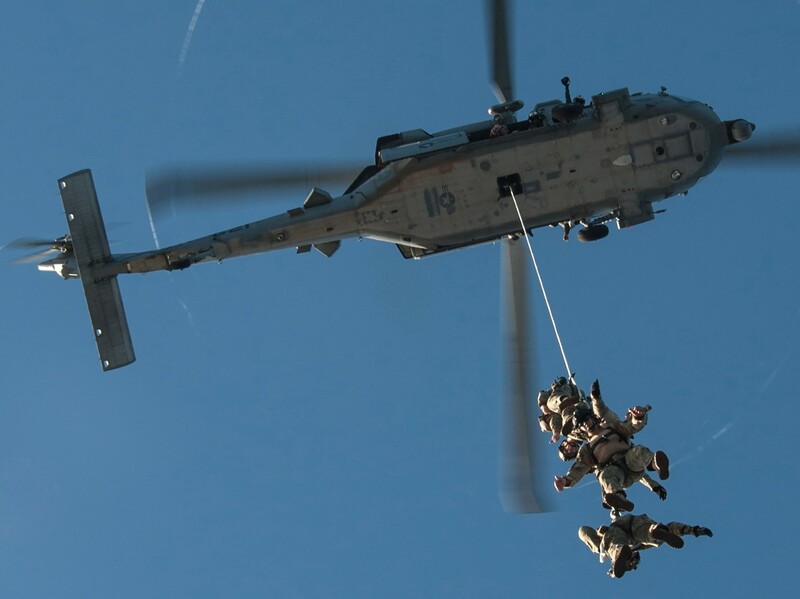 HSC-12's multi-mission capability has been put to the test in many ways through its history. 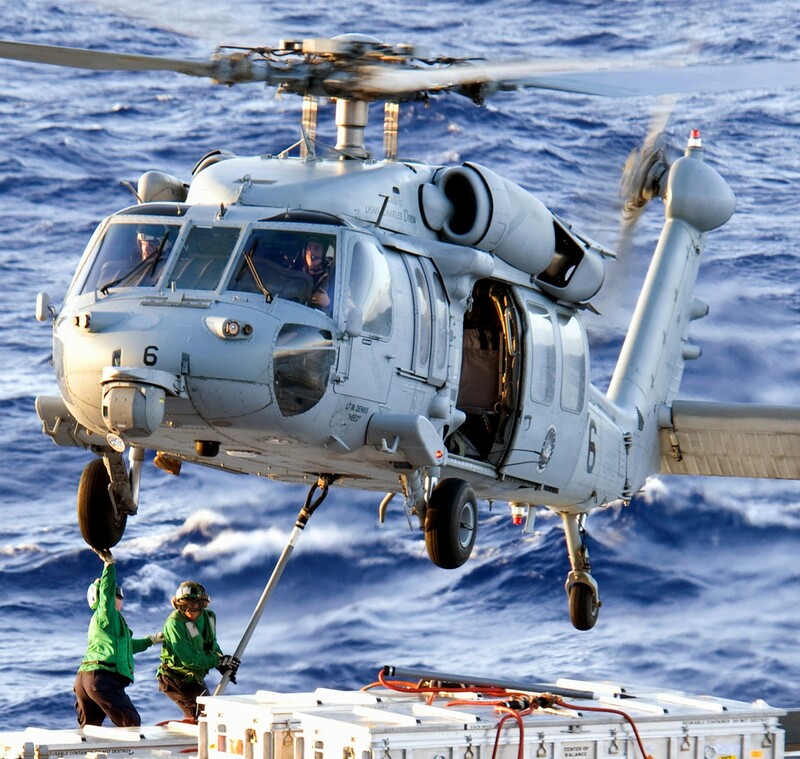 In 1964, the "Golden Falcons" were called upon to aid in flood rescue operations in Northern California, flying 185 sorties in six days, rescuing 91 people and transporting over 110,000 lbs of relief supplies to victims of the flood. 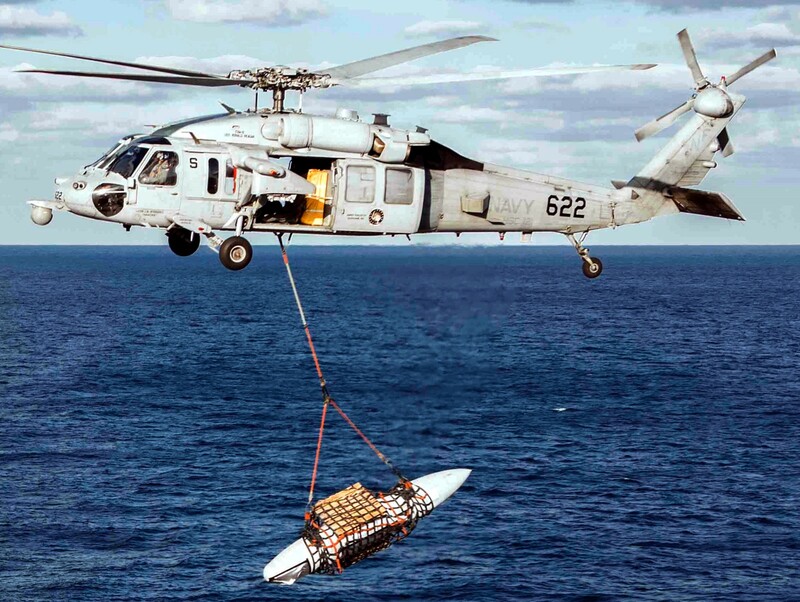 In 1966 HS-2 participated in the Apollo Saturn 202 sub-orbital test flight of the Command and Service Module recovery program. 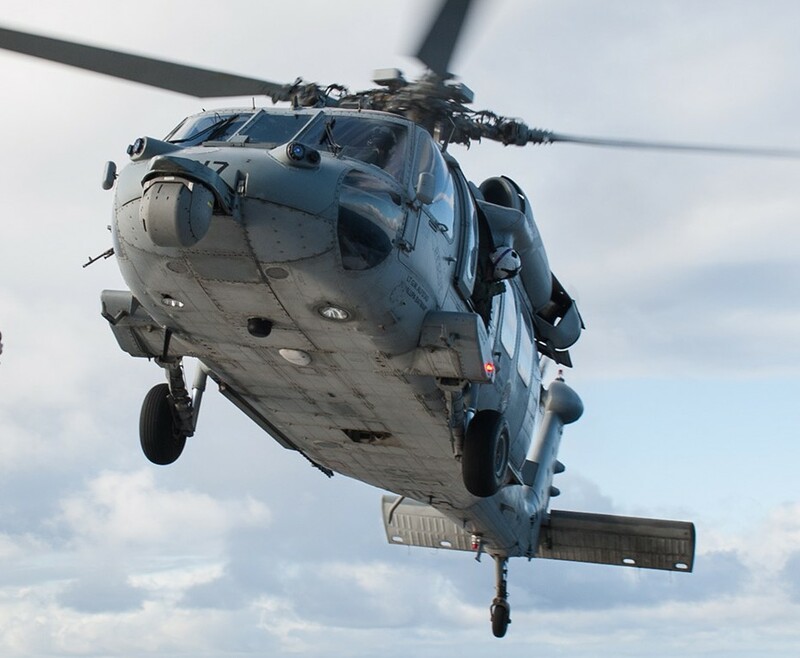 HS-2 then shifted gears to be the first Navy helicopter squadron to execute a night Combat Search and Rescue (CSAR) mission in North Vietnam in 1965. 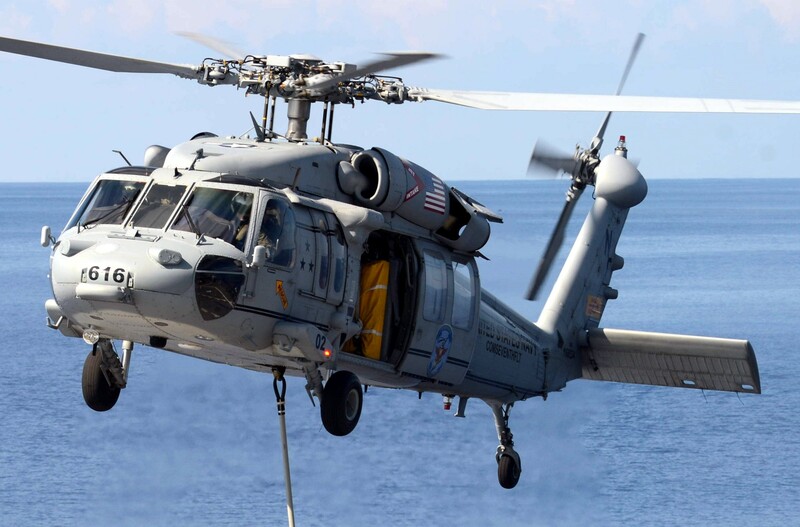 The squadron was responsible for ten overland and five coastal rescues of pilots in North Vietnam during 1967. 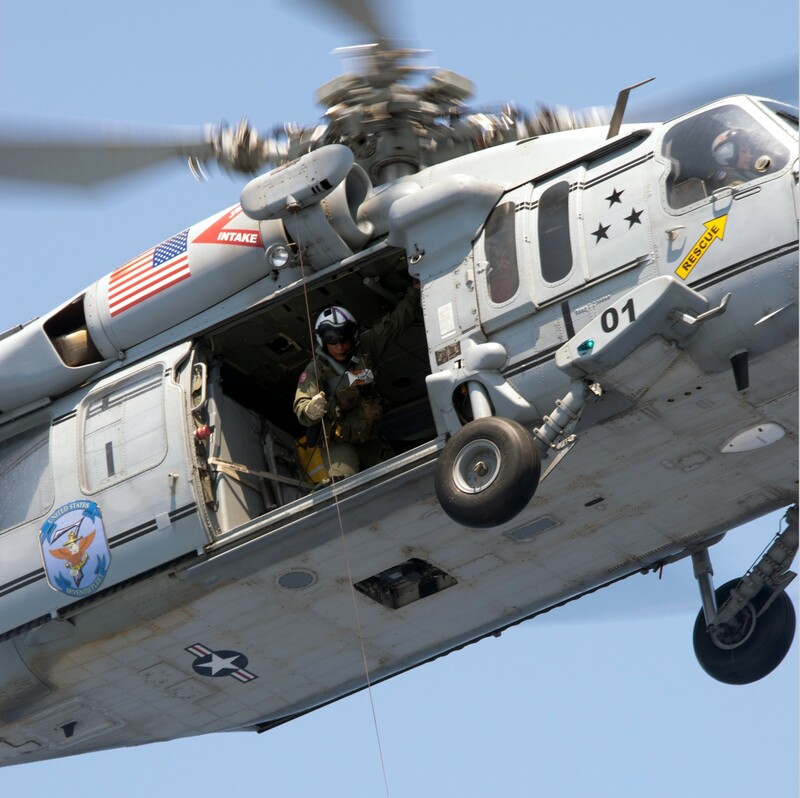 One in particular resulted in LT Neil Sparks being awarded the Navy Cross. 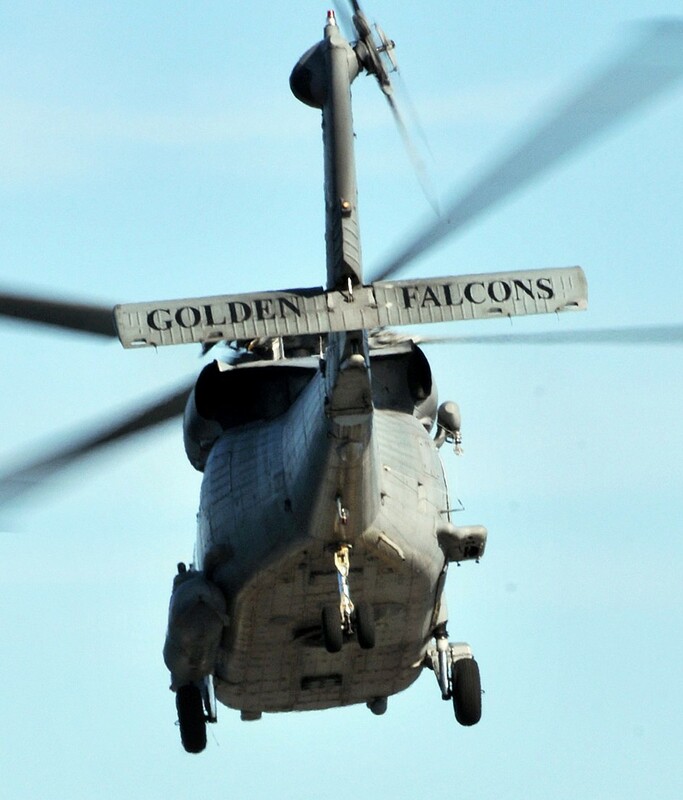 Later that year, the "Golden Falcons" were called upon to provide relief support to snowbound Native Americans in Arizona in December of 1967, airlifting 15 tons of food and supplies, flying 292 "Mercy Missions" and performing 37 medical evacuations. 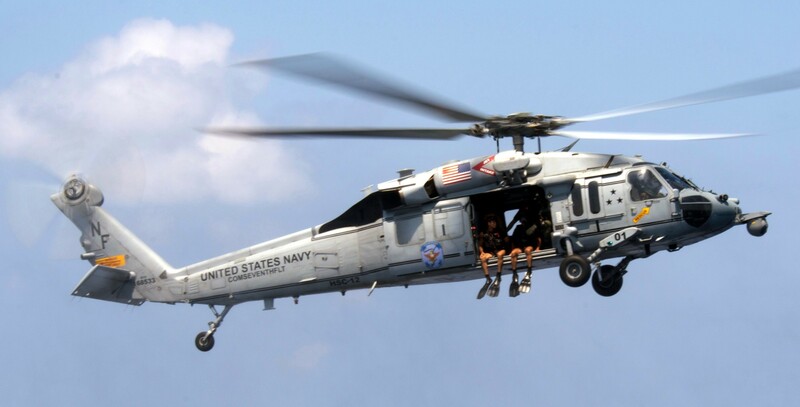 In 1970, HS-2 was the first helicopter squadron to travel across the United States for deployment on the USS INDEPENDENCE home ported on the East Coast. 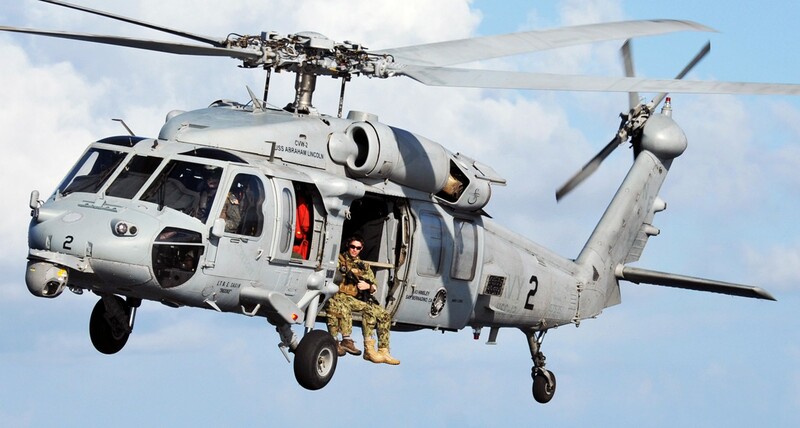 In that year, the squadron deployed with U.S. 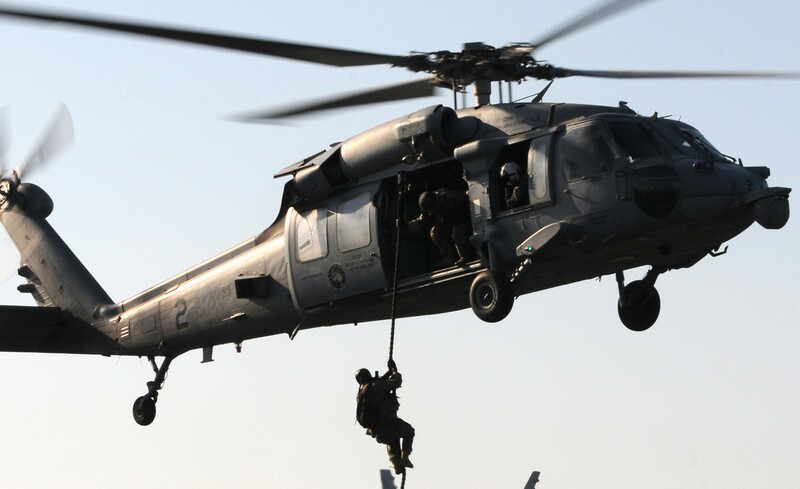 Forces responding to the Jordanian Crisis. 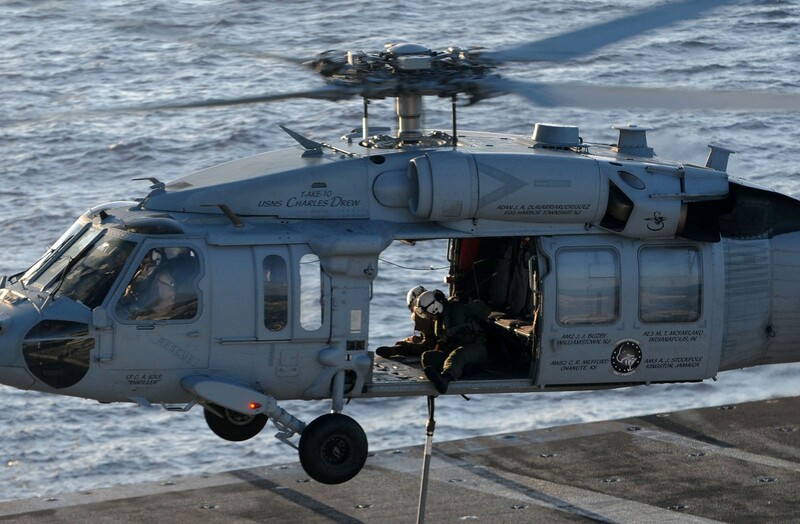 HS-2 prepared to go into Amman, Jordan for the evacuation of U.S. citizens and to provide a CSAR asset for the Battle Group. 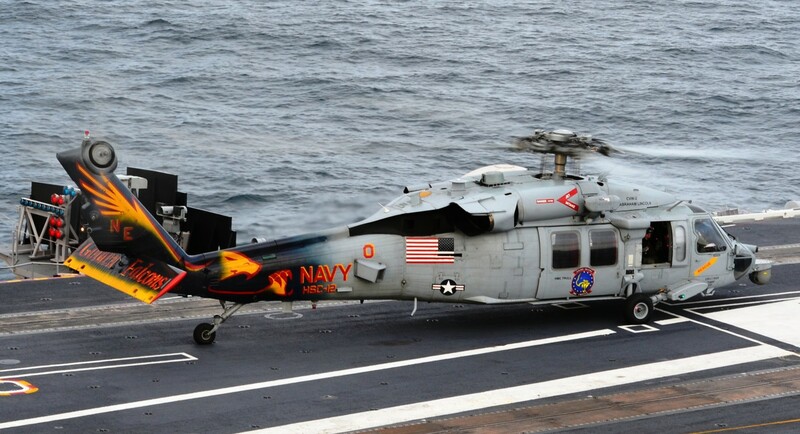 It was during 1970 that HS-2’s signature American flag appeared on the aircraft. 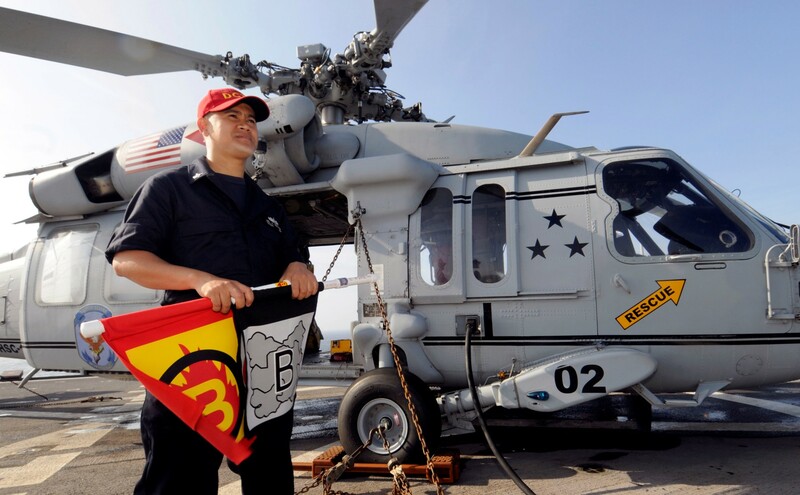 The flags were painted overnight so the helicopters could be distinguished from the Israeli H-3's, which were operating in the combat zone. 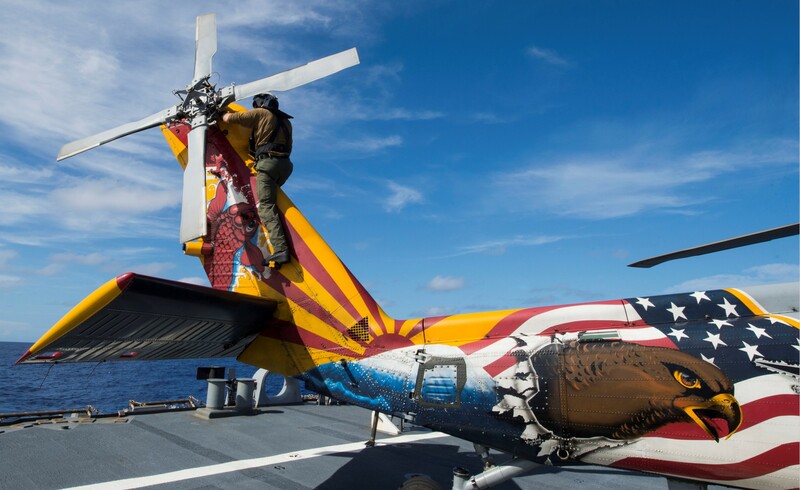 To commemorate the event, the Chief of Naval Operations (CNO) authorized the flags to become a permanent part of HS 2's paint scheme. 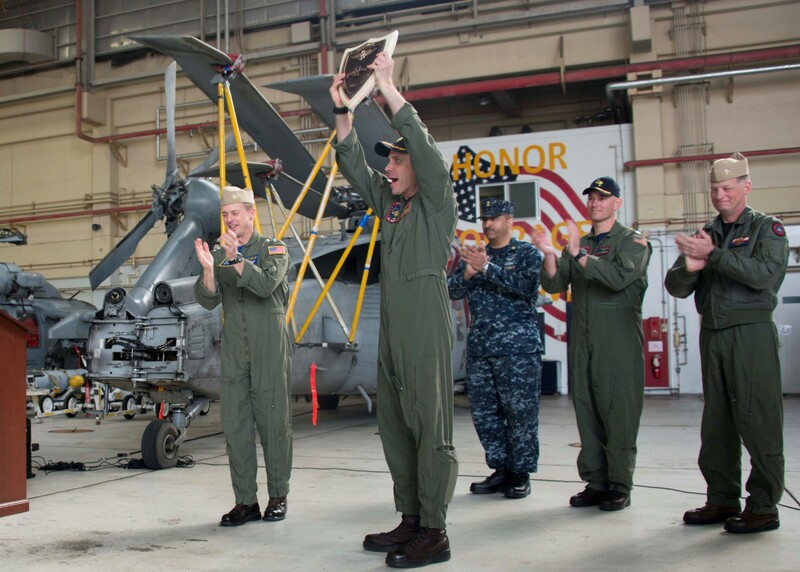 As a result of its superior performance during that period, the squadron was awarded the Navy Unit Commendation. 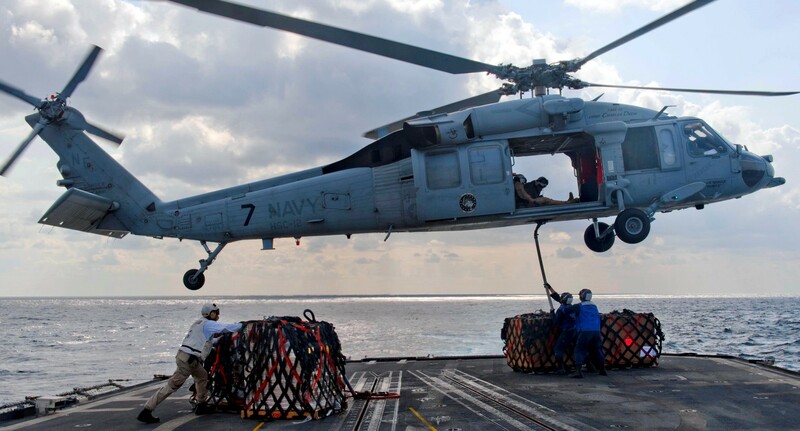 A couple years later HS-2 contributed to the Vietnam conflict following the cease-fire agreement in 1972. 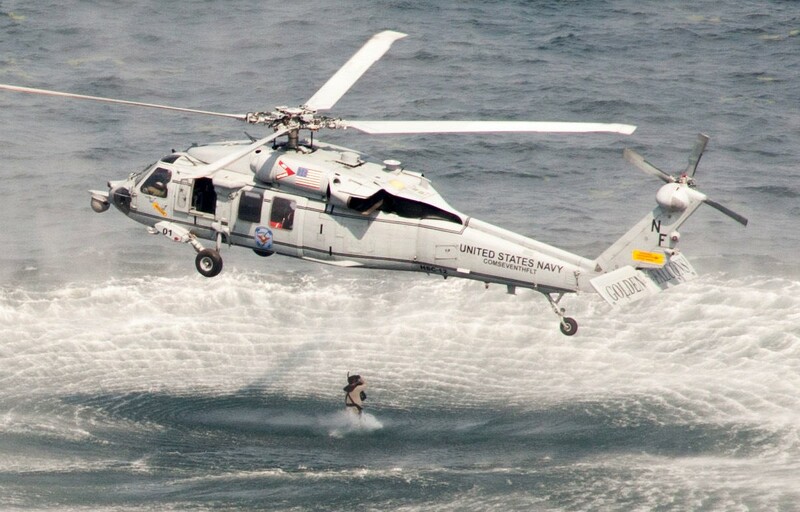 At that time HS-2 became the first U.S. 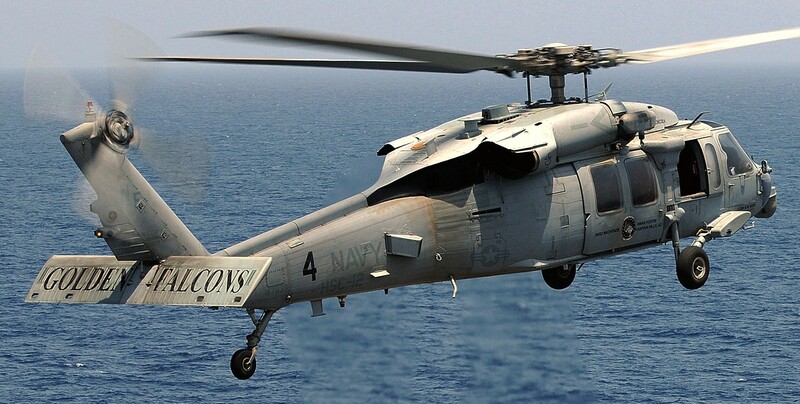 Naval air unit to fly into North Vietnam after the cease fire, providing transportation for the negotiating team to and from Haiphong. 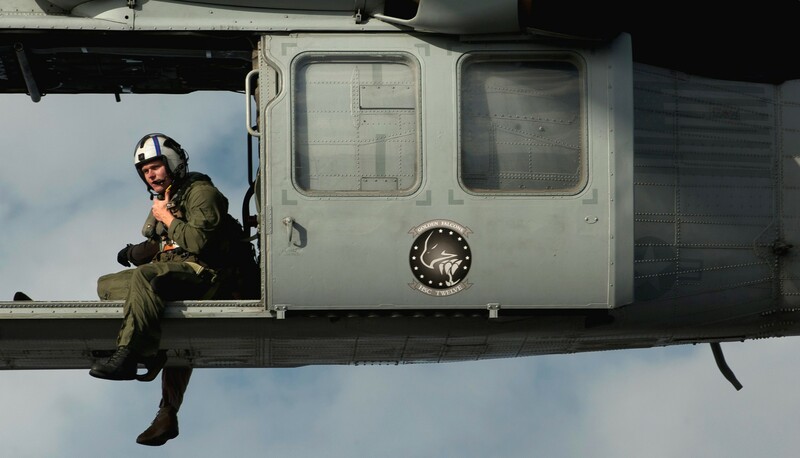 In 1974 the squadron was called upon to provide disaster relief to the cyclone-devastated island of Mauritius in the Indian Ocean, east of Madagascar. 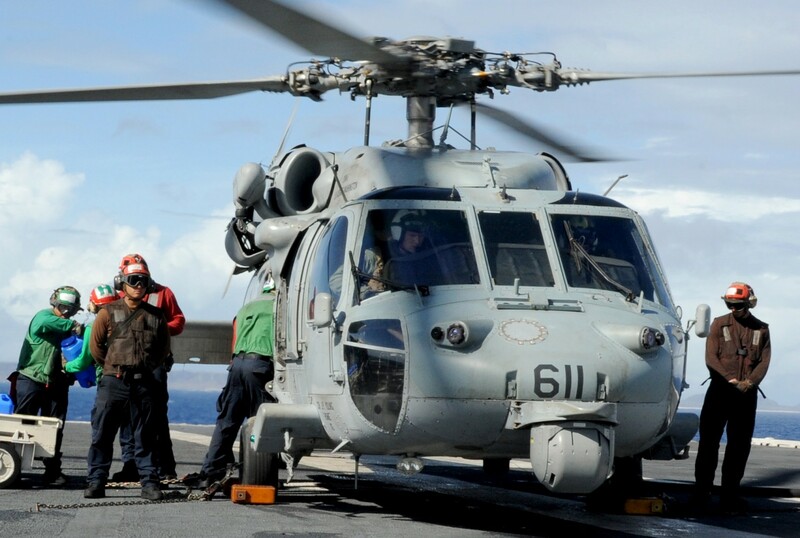 The 1976 deployment aboard USS ENTERPRISE (CVN-65) was the first Western Pacific (WESTPAC) deployment using the Navy's modern CV Battle Group concept. 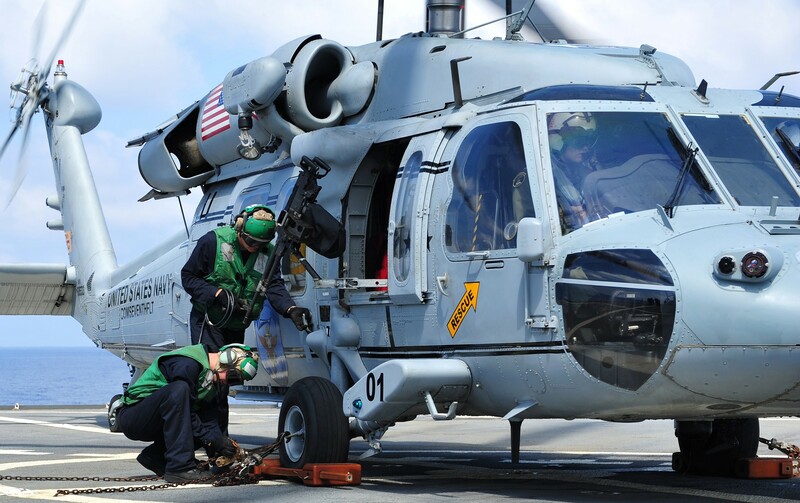 Along with the S-3A Viking and the onboard Tactical Support Center (TSC), HS-2 directly contributed to the refinement and success of modern day ASW tactics. 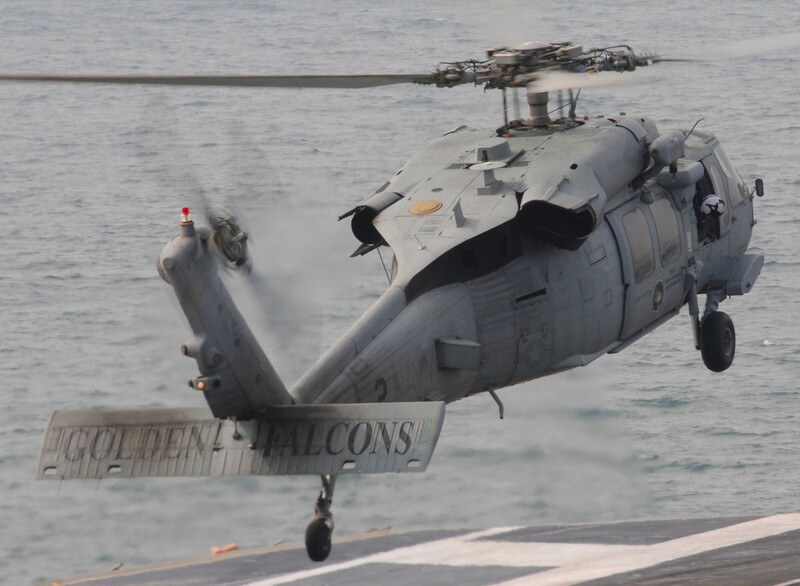 In the fall of 1979, the Golden Falcons were chosen to participate in amphibious operations in combination with a multi-nation task force. 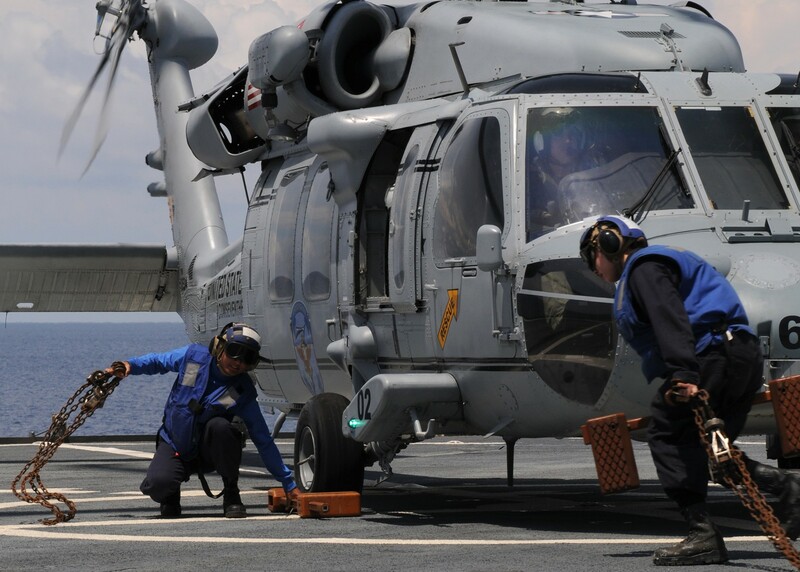 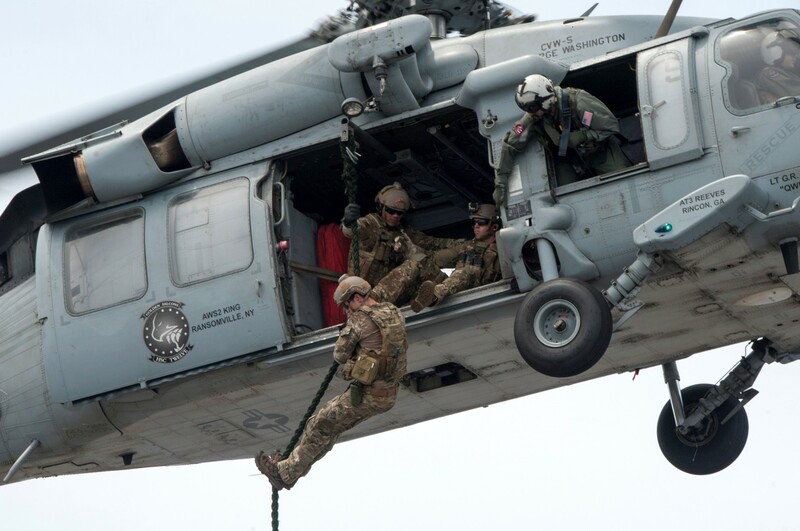 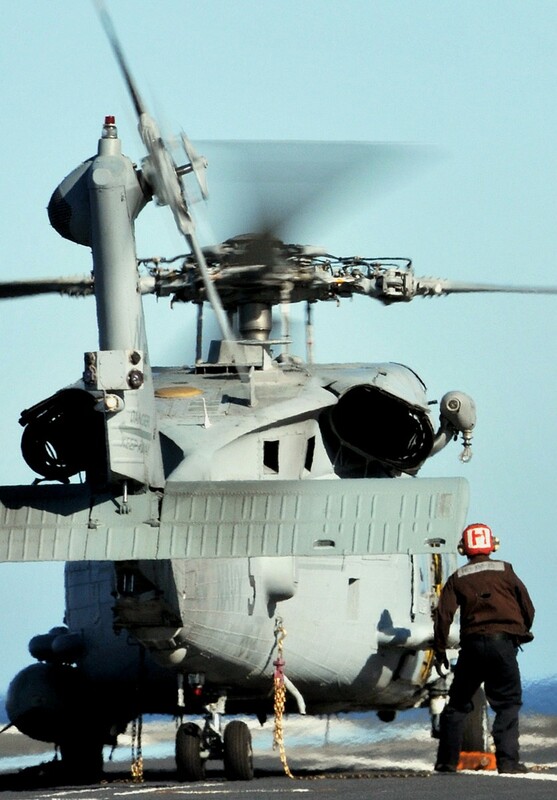 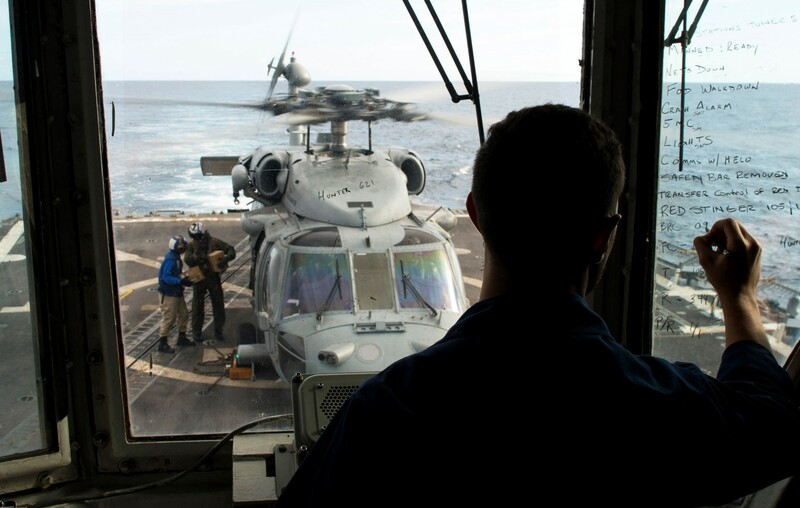 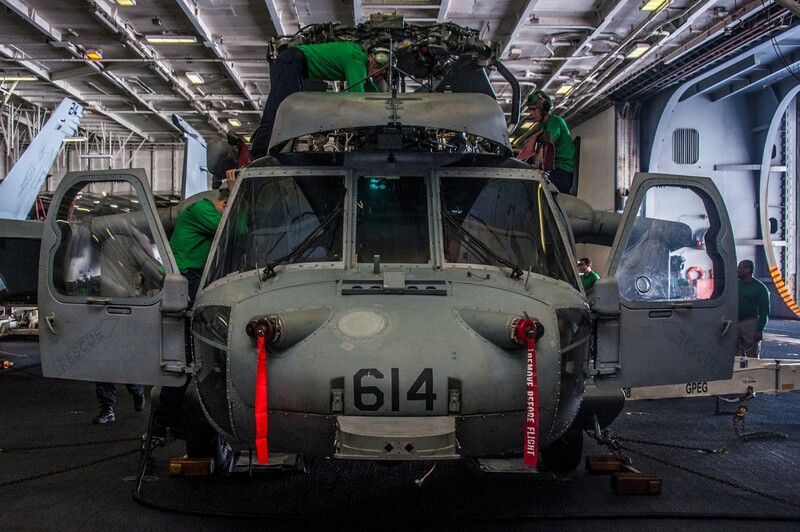 The squadron was embarked aboard USS NEW ORLEANS (LPH-11) and again proved the value of the helicopter in the ASW arena. 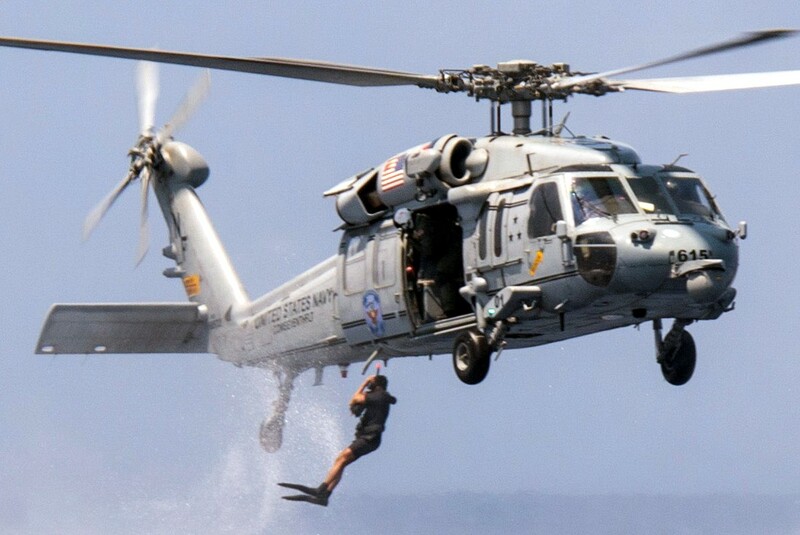 HS-2 personnel were awarded the Humanitarian Service Medal in 1980 for their participation in the rescue of three groups of Vietnamese refugees. 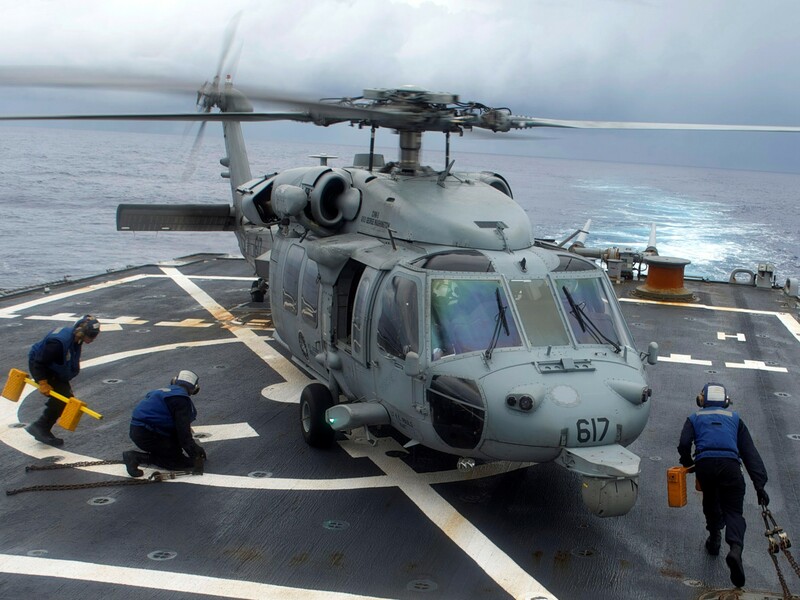 In 1984, HS-2 helicopters provided the first damage assessments following the collision of a Soviet nuclear-powered Victor attack submarine with USS KITTY HAWK (CV-63) in the Sea of Japan. 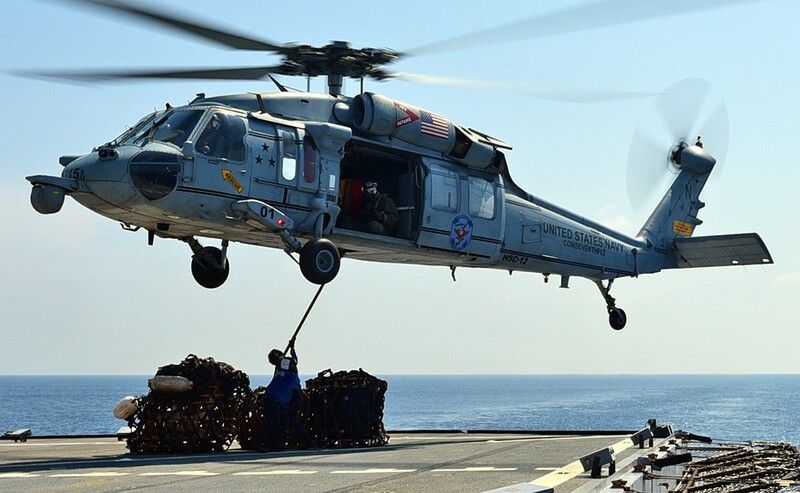 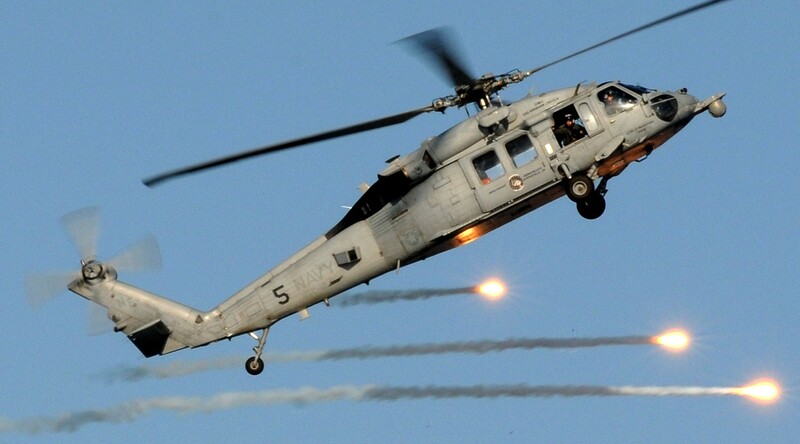 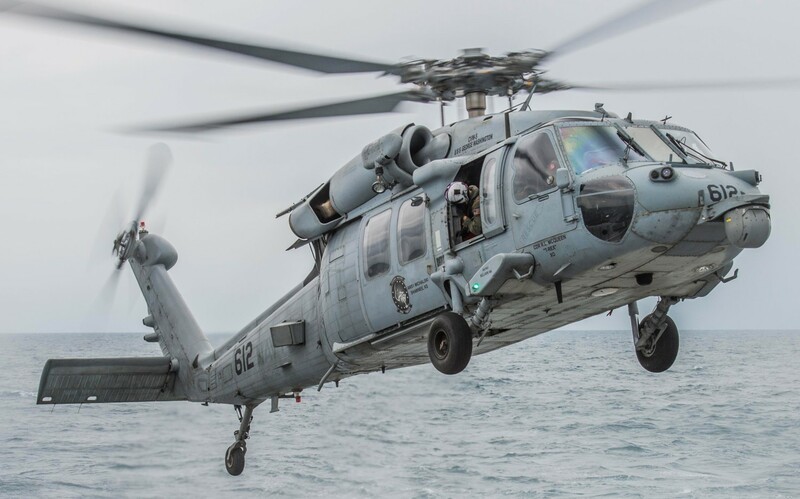 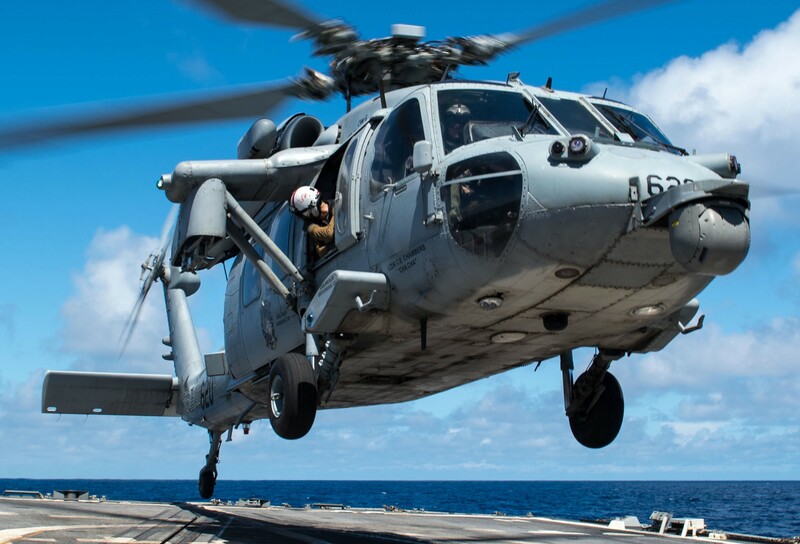 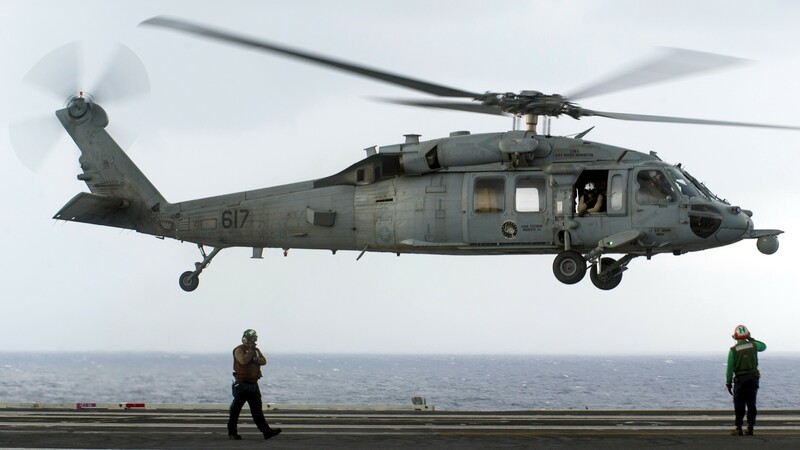 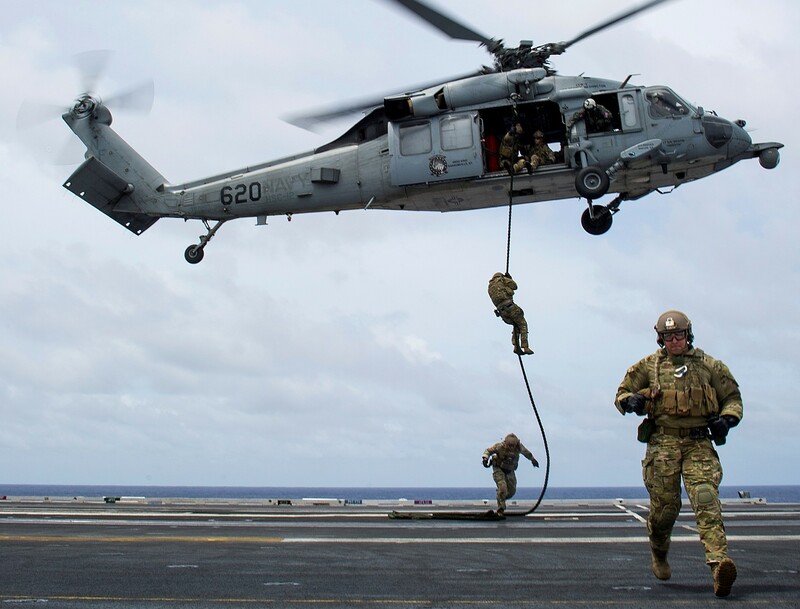 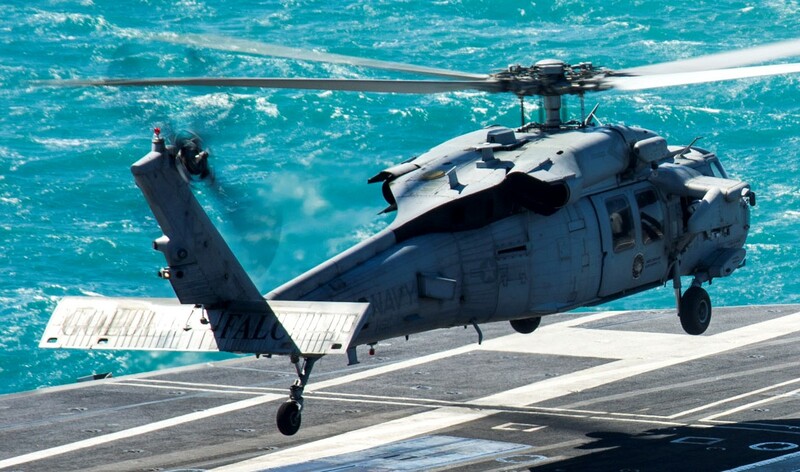 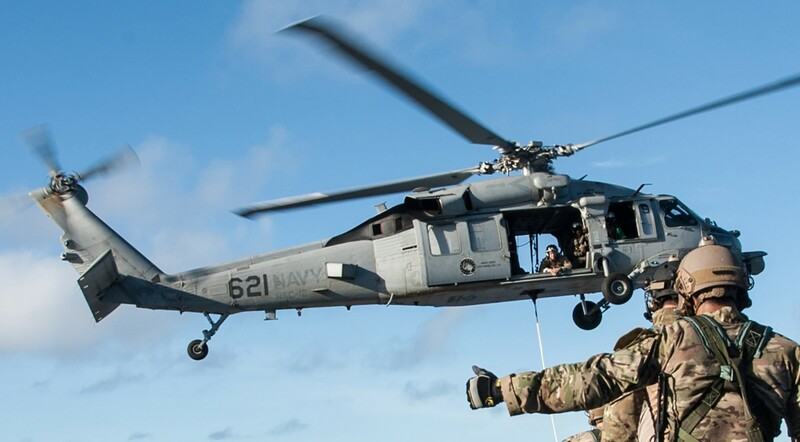 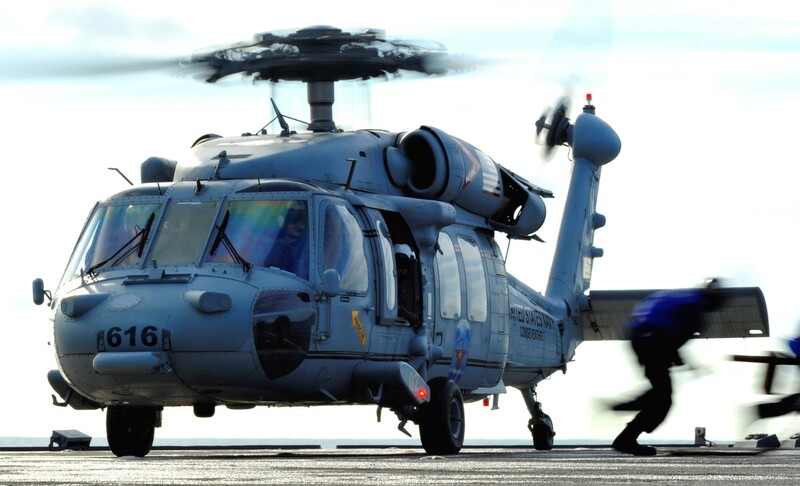 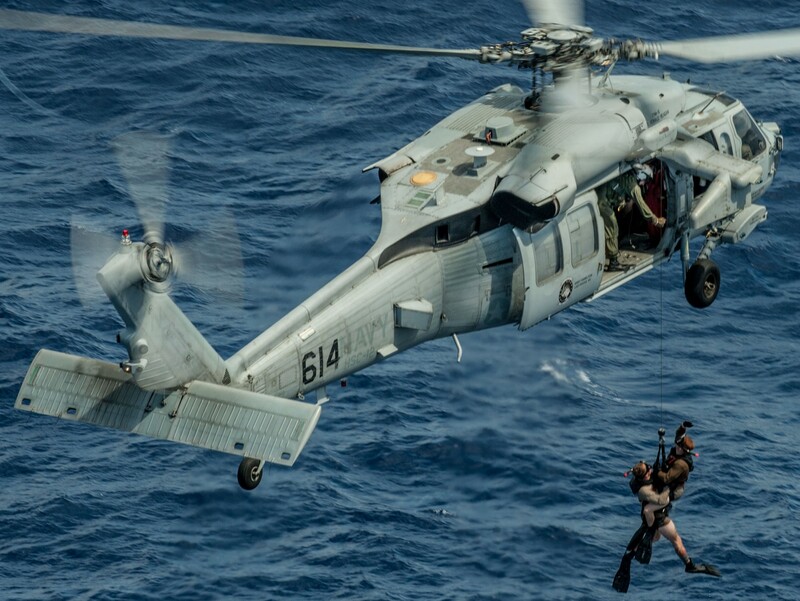 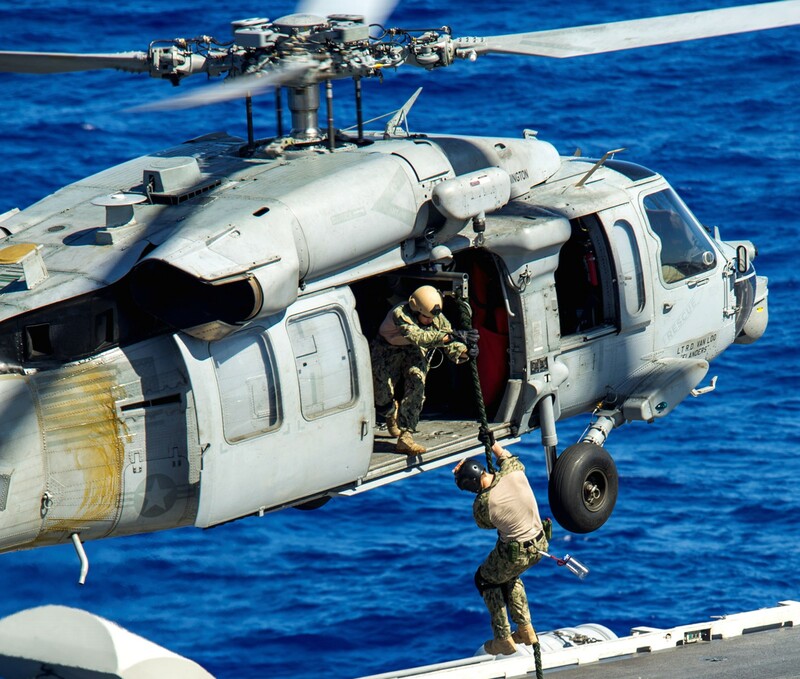 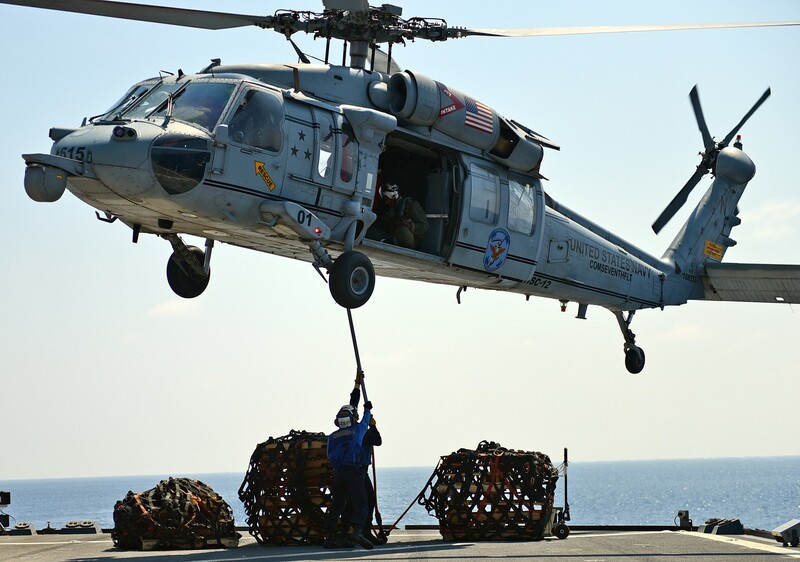 HS-2 led the way in modern Carrier Airborne Anti-Submarine Warfare by transitioning to the SH-60F Seahawk, the newest and most capable rotary wing ASW asset in the Navy at that time. 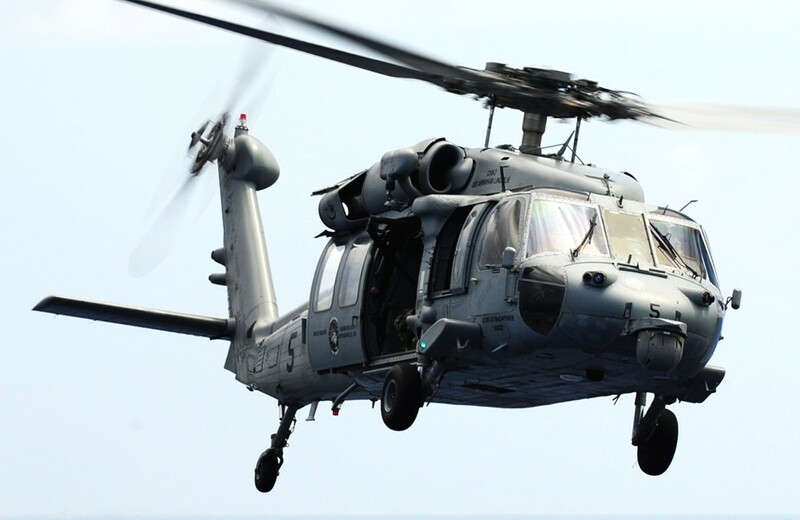 HS-2 was also the first active duty HS squadron to fully incorporate the CSAR mission, having received two new HH-60H aircraft in November 1990. 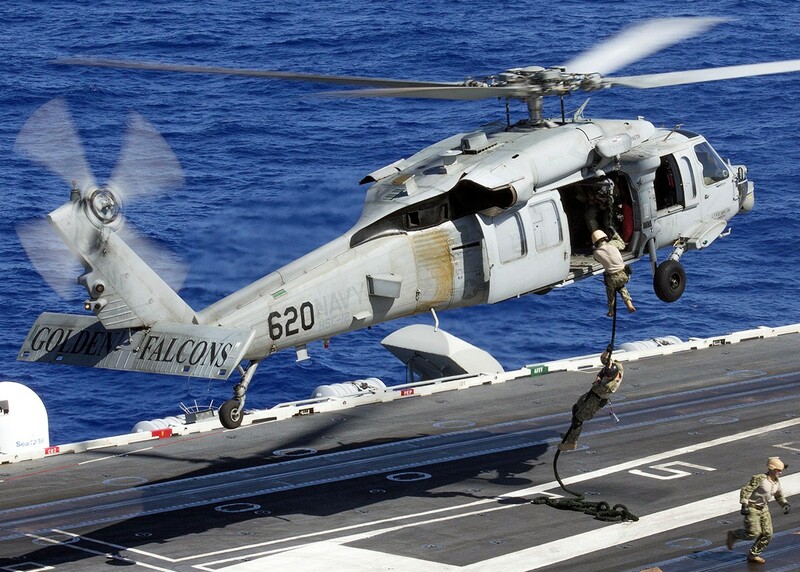 Following the acceptance of the HH-60H, the Golden Falcons deployed aboard the USS NIMITZ (CVN-68) in support of Operation Desert Storm in 1991. 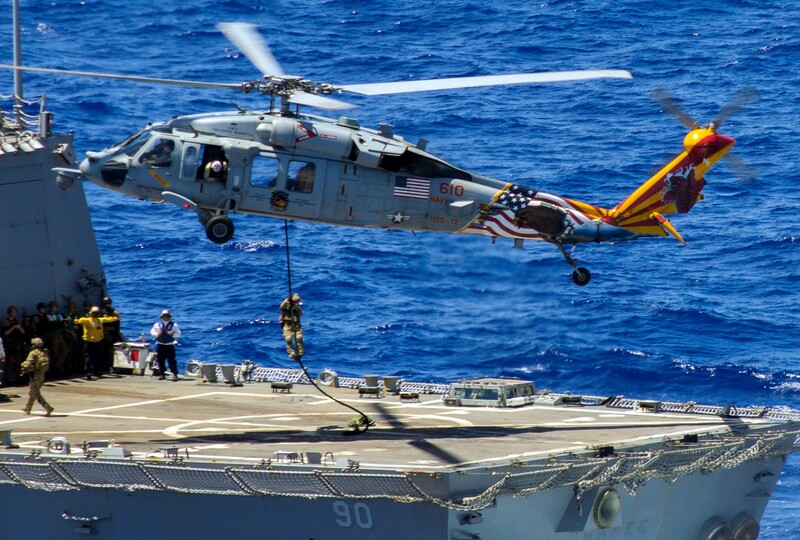 Since that time HS-2 has made numerous WESTPAC deployments aboard the NIMITZ and later aboard the USS CONSTELLATION (CV-64) when the squadron transitioned to Carrier Air Wing TWO (CVW-2) in the mid ‘90s. 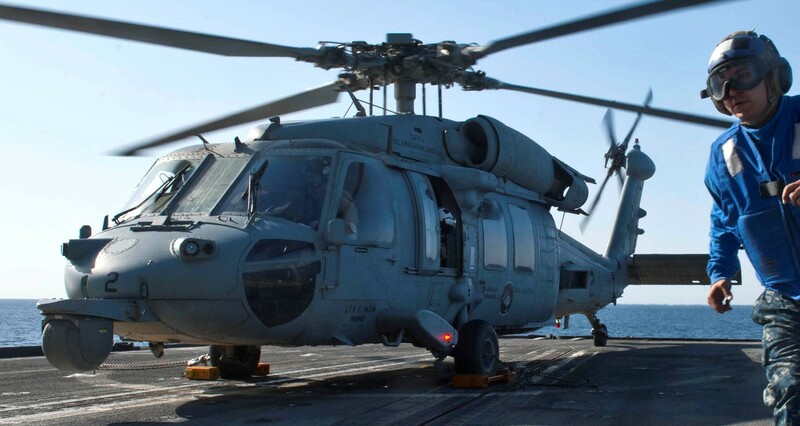 HS-2 deployed aboard the CONSTELLATION in 2003 conducting combat operations during Operation Iraqi Freedom (OIF) and supported critical Naval Special Warfare (NSW) missions during the opening days of the conflict. 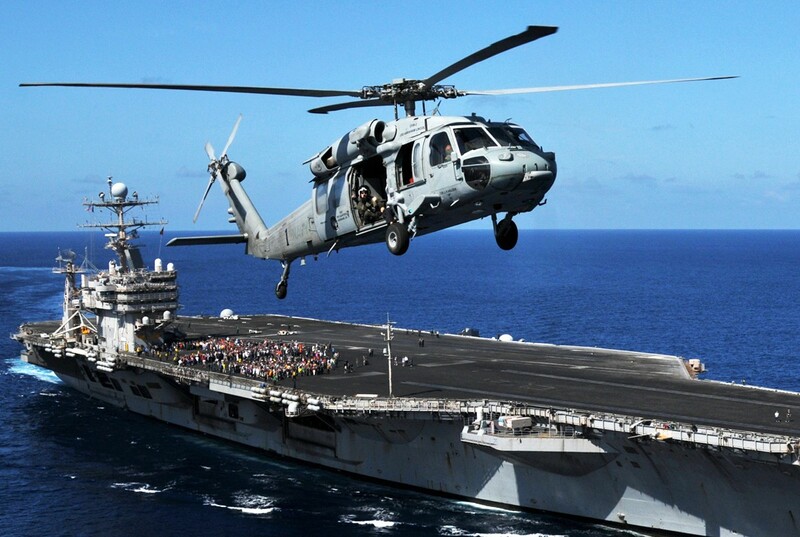 In 2004, with the CONSTELLATION decommissioned, HS-2 and CVW-2 moved to the USS ABRAHAM LINCOLN (CVN-72). 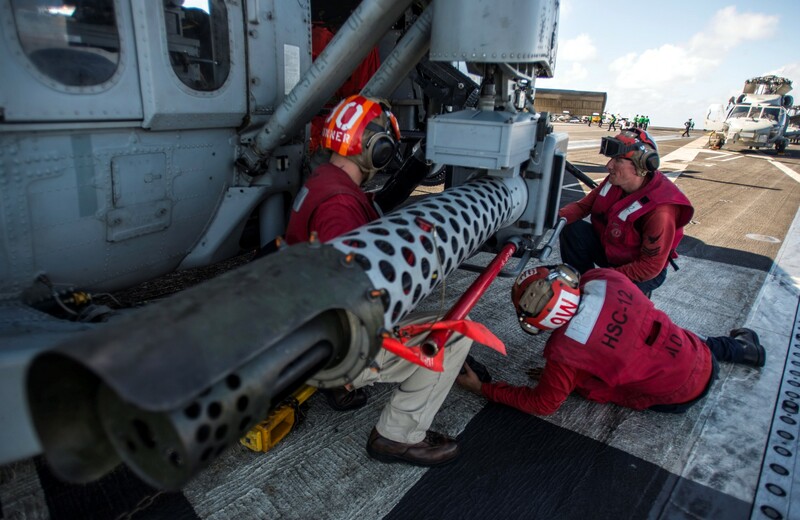 Following this move, HS-2 was "surge" deployed with Carrier Strike Group NINE (CCSG-9) almost eight months ahead of schedule as a part of the Navy’s Fleet Response Plan (FRP). 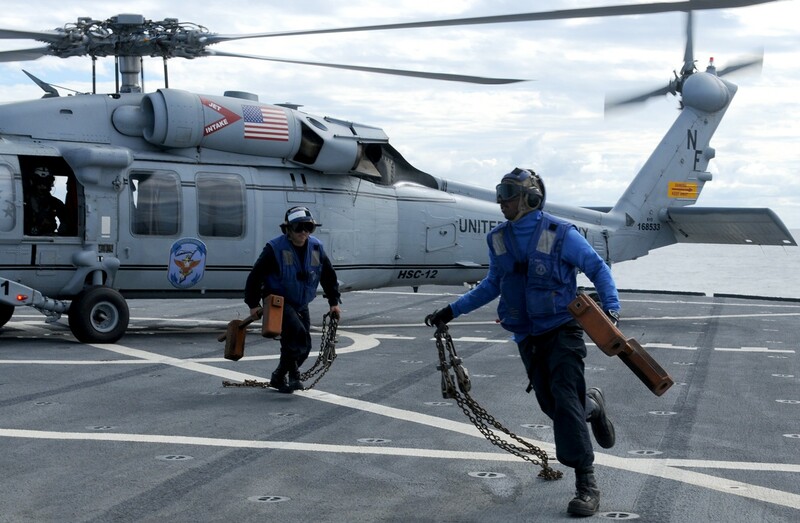 During that surge deployment the Golden Falcons, along with CCSG-9, were again called on to provide humanitarian assistance and disaster relief to the victims of the December 26, 2004 tsunami in the Aceh province of Sumatra, Indonesia. 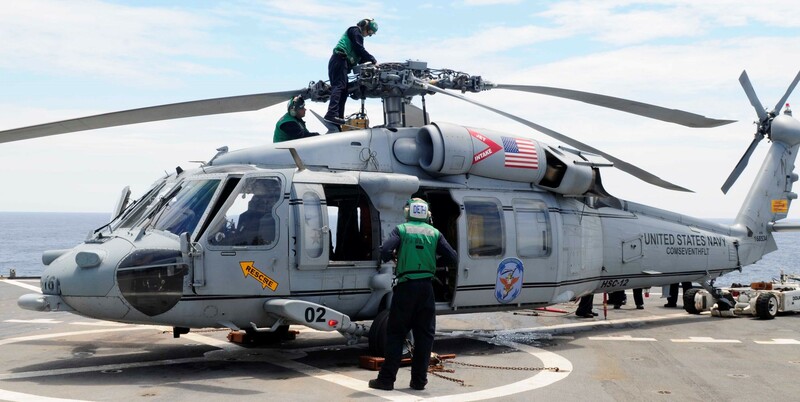 In the month of January 2005 alone, HS-2 flew over 1000 total flight hours in support of Operation Unified Assistance (OUA), moving hundreds of injured and displaced survivors and providing thousands of pounds of relief supplies to the remote and devastated areas of Sumatra. 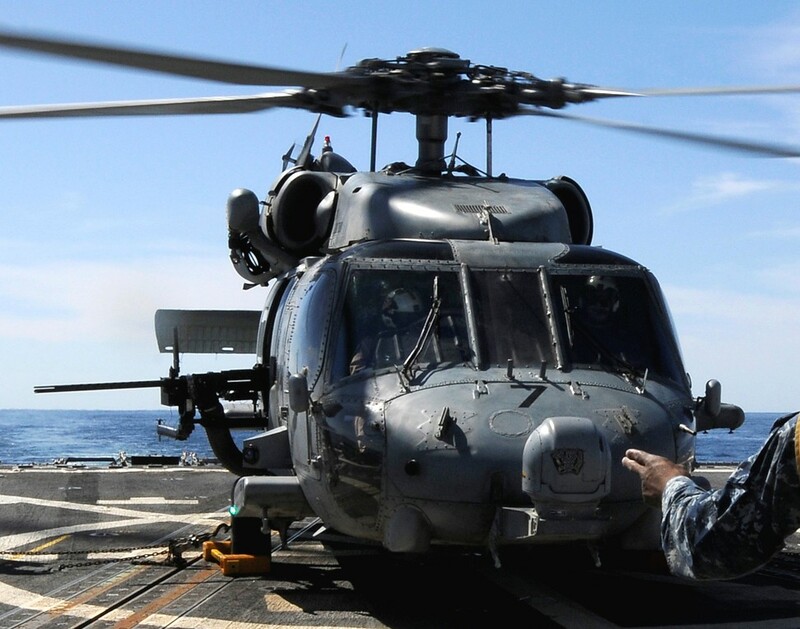 The squadron was again honored with the Humanitarian Service Medal. 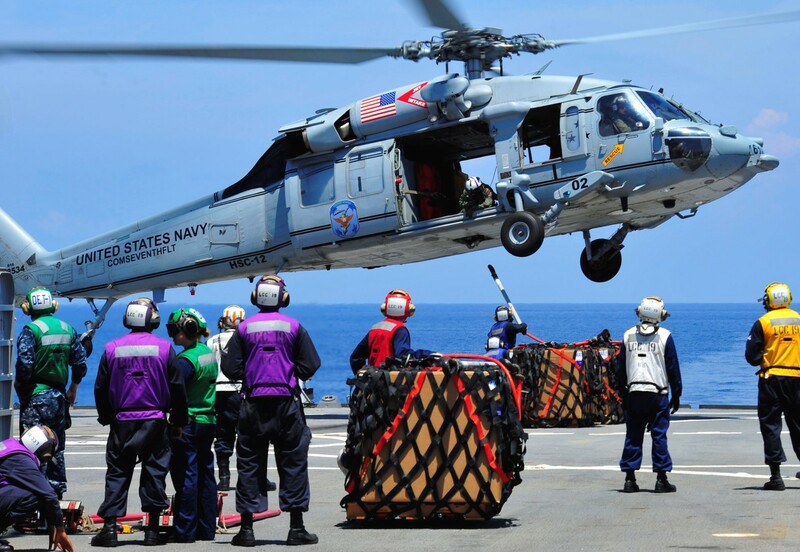 March of 2008, with the USS ABRAHAM LINCOLN, marked the final cruise as HS-2. 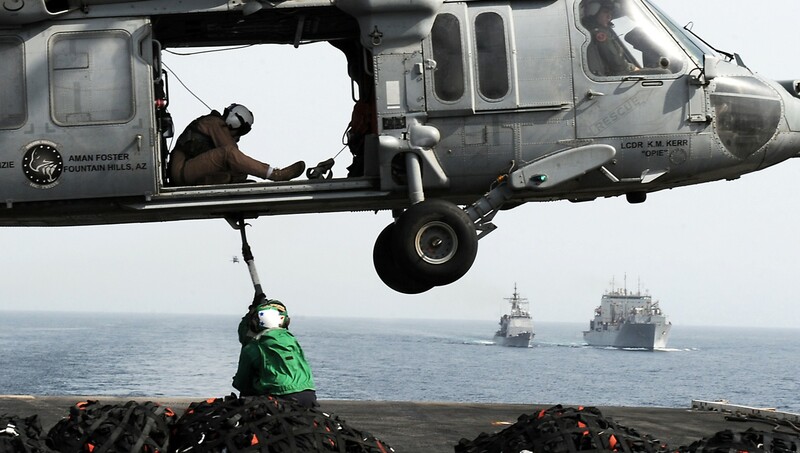 Arriving in the Arabian Gulf in late April and transitioning to operations off the coast of Pakistan in early July, HS-2 was called upon to support Coalition efforts in multiple capacities, sending aircraft overland to ferry diplomats for high level negotiations, moving Iraqi troops, providing armed reconnaissance support for Combined Task Force 158 and working with British and Australian units in defense of key elements of Iraq’s oil infrastructure in the Northern Arabian Gulf. 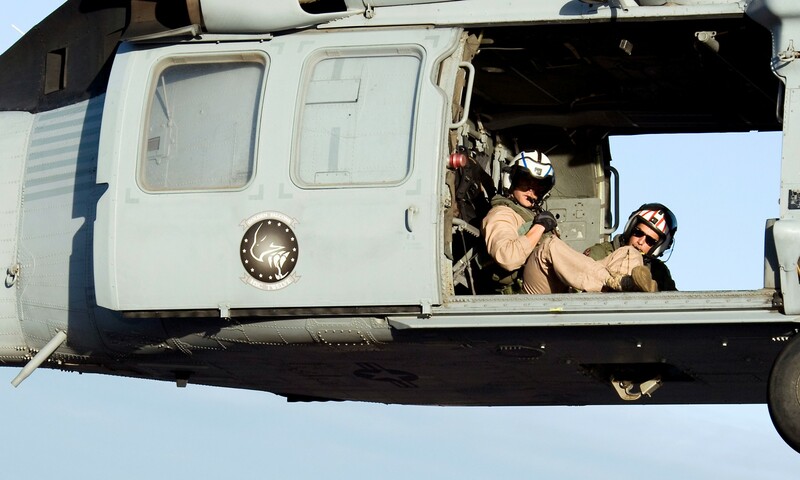 While operating in Afghanistan, the aviators of CVW-2 rested easy knowing that HS-2 pilots were on call with their HH-60Hs for CSAR any time fixed wing aircraft went in country. 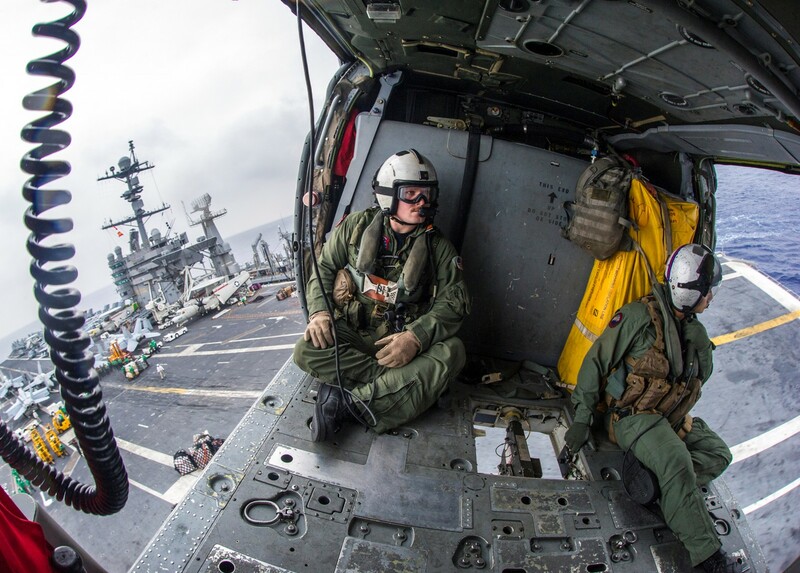 In total, HS-2 pilots and aircrews amassed over 3000 operational flight hours over the seven month deployment. 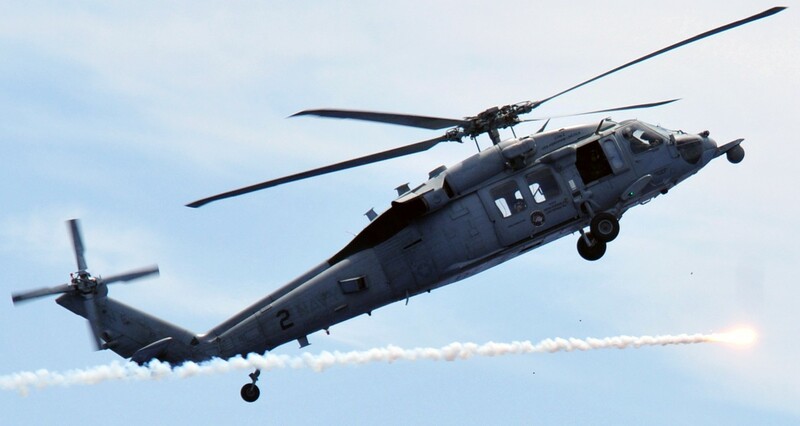 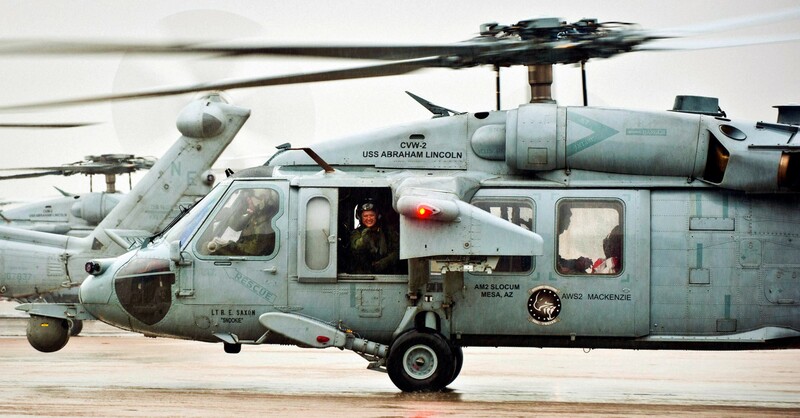 In May of 2009, the squadron said goodbye to its SH-60F and HH-60H helicopters and transitioned to the new MH-60S airframe. 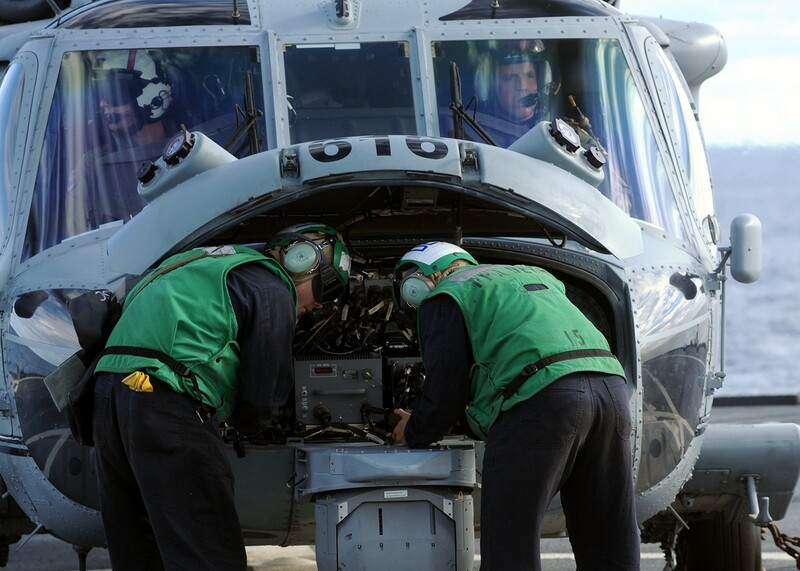 In addition, the squadron became HSC-12 in the process. 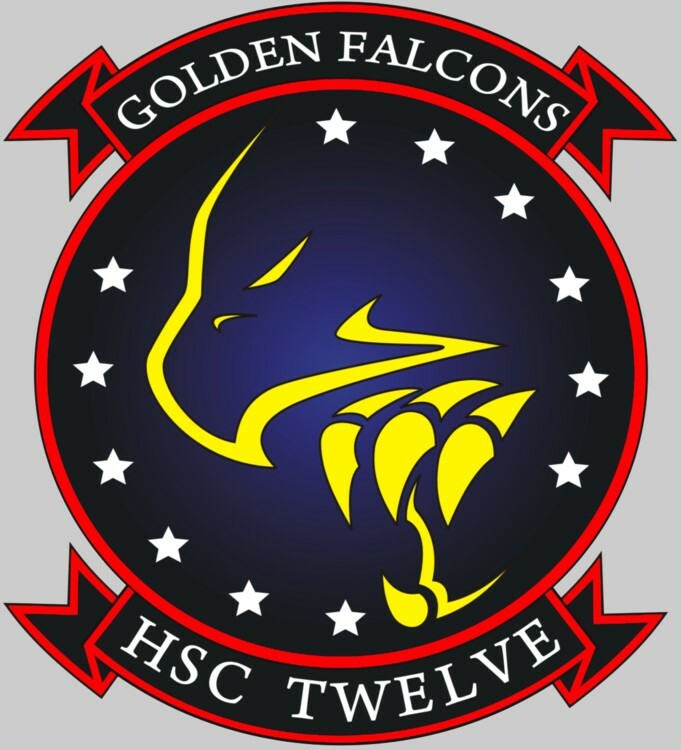 The change brought about challenges in employing this new platform, but with the same hard working and dedicated individuals, the World Famous Golden Falcons had no problem meeting the task. 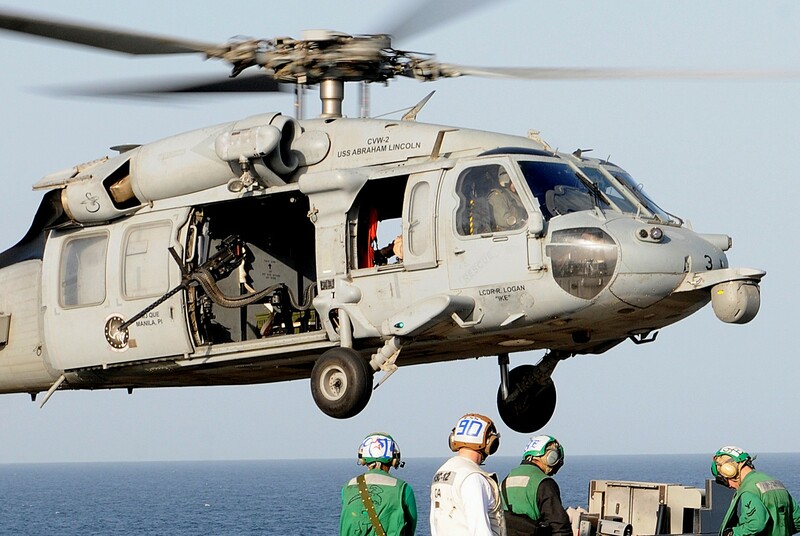 On September 11th of 2010 HSC-12 got underway on the USS ABRAHAM LINCOLN and the USNS RAINIER. 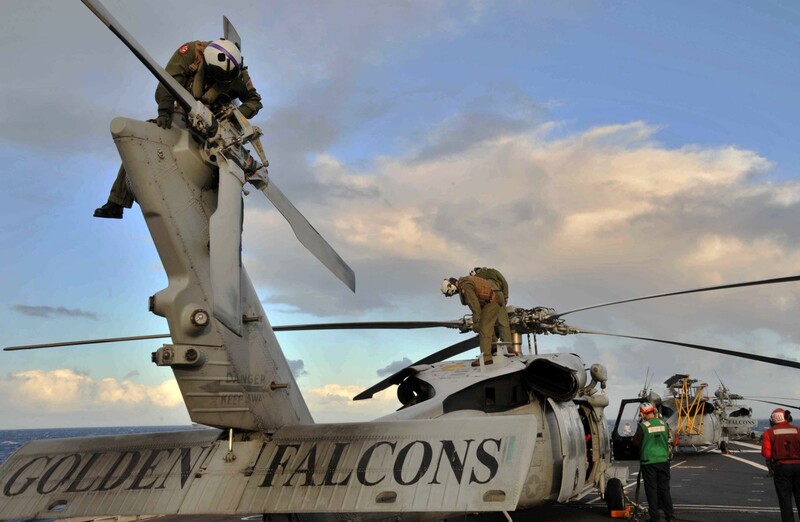 The Golden Falcons flew 3175 operational flight hours in support of Operation Enduring Freedom. 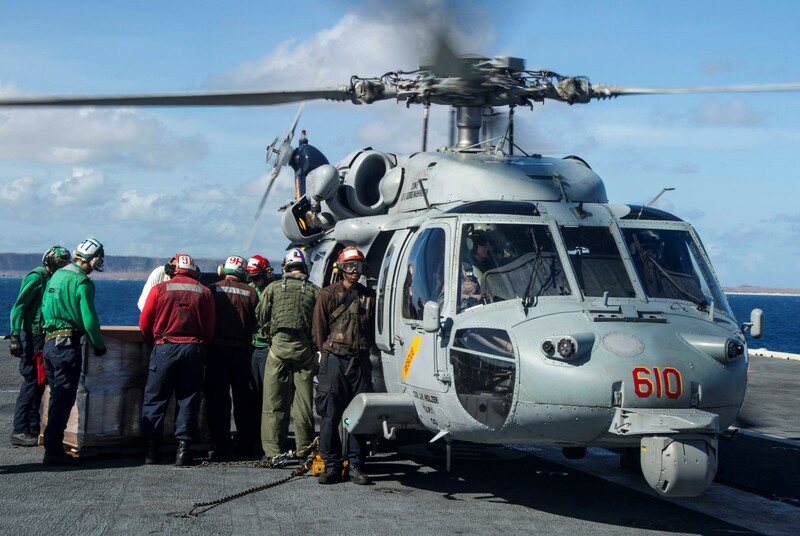 The VERTREP detachment onboard the Rainier was the first Combat Logistics Fleet (CLF) detachment ever deployed from a carrier based squadron. 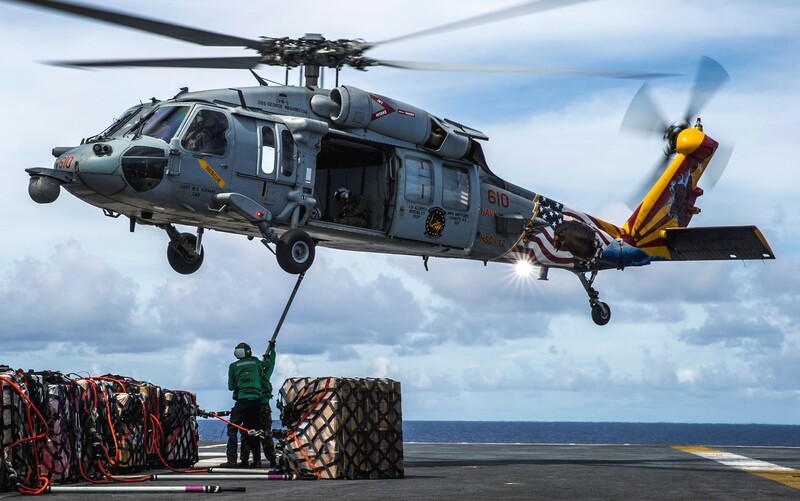 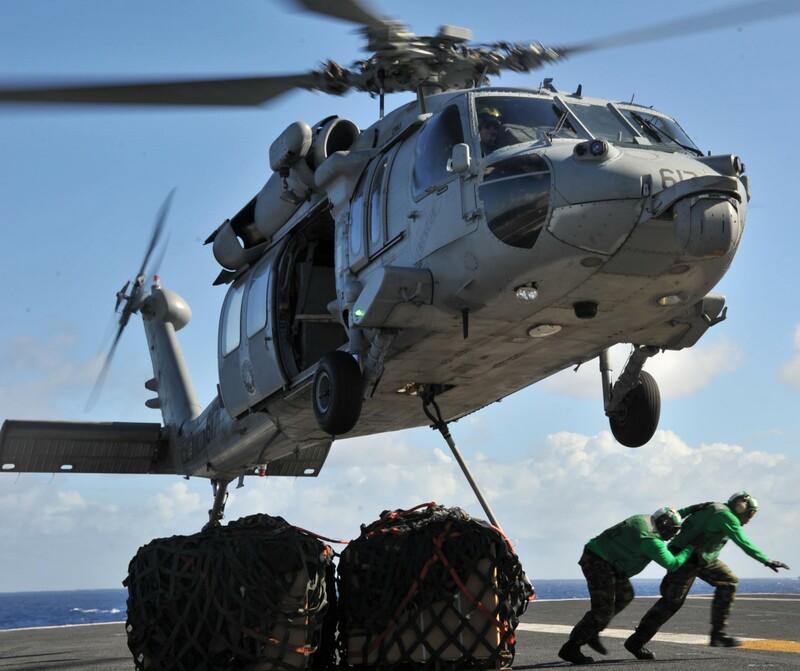 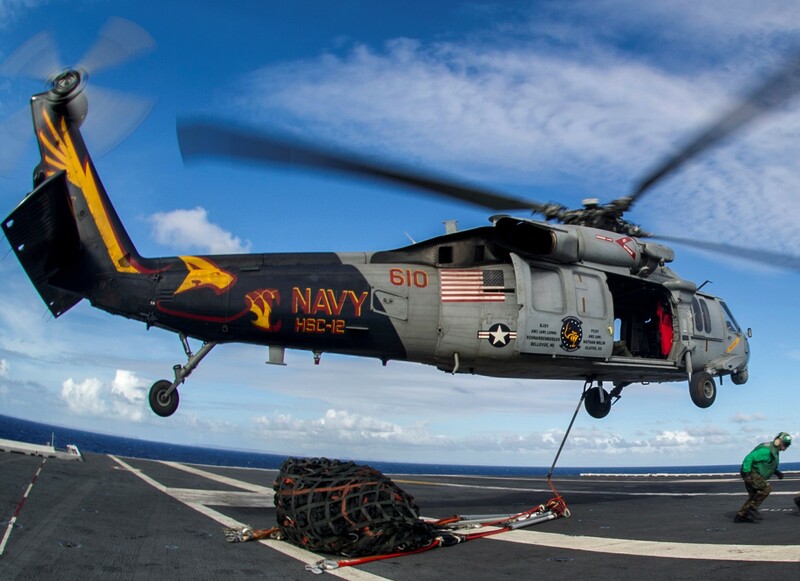 In late 2012 through early 2013, HSC-12 became the first MH-60S squadron to be forward deployed, conducting a historic move from San Diego, CA, to NAF Atsugi, Japan, where it is currently supports Carrier Air Wing FIVE (CVW-5) on the USS GEORGE WASHINGTON (CVN-73). 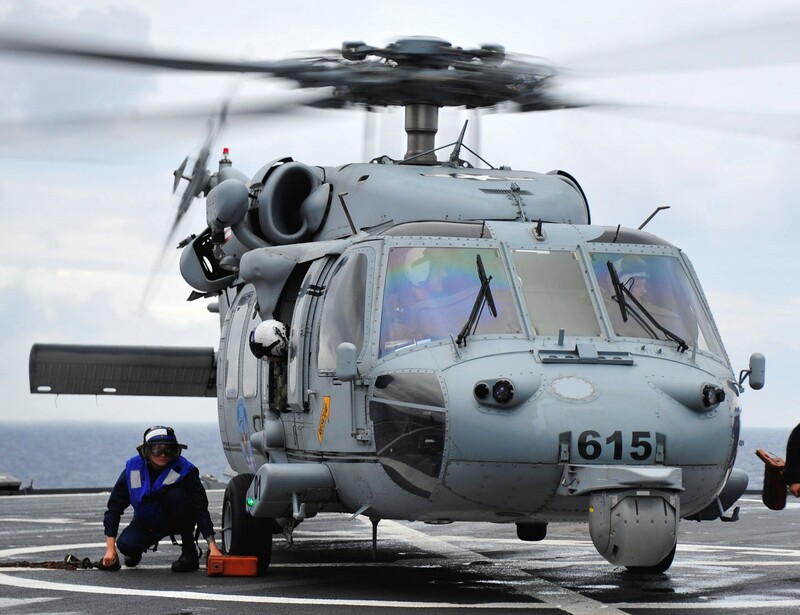 HSC-12 also stood up it’s first Executive Transport Detachment (DET ONE) on the USS BLUE RIDGE (LCC-19) in support of Commander, U.S. 7th Fleet. 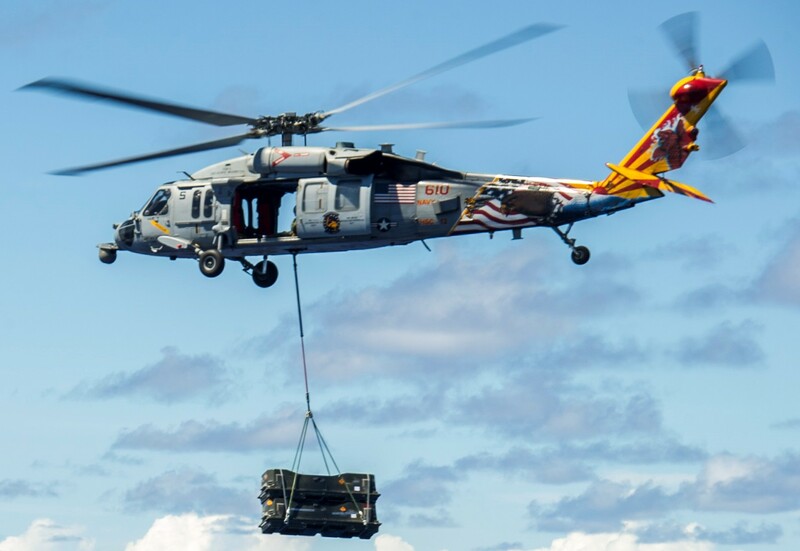 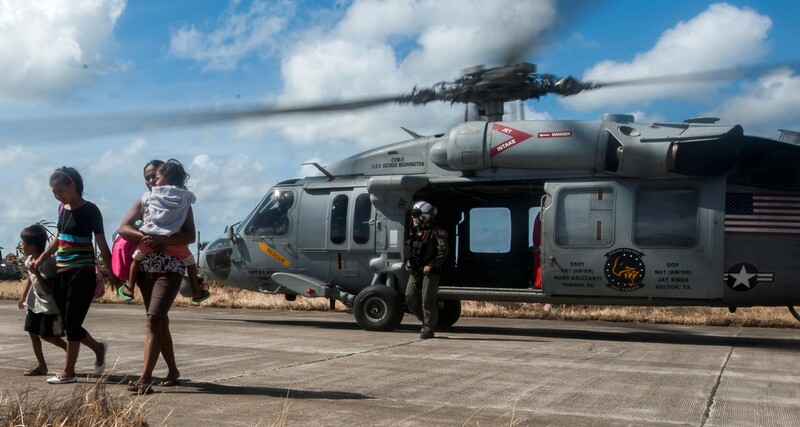 In November 2013, HSC-12 provided humanitarian relief as an integral part of Operation Damayan, after the Philippines were devastated by Super Typhoon Haiyan.